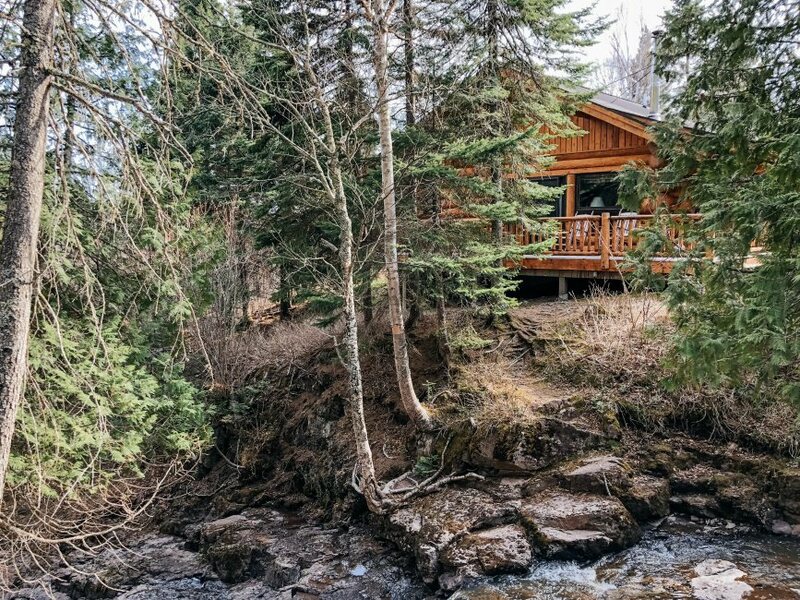 With names like "Wildflower", "Agate", and "Fireweed", it's hard not to be drawn in by the rustic charm of these lake and creekside cabins. 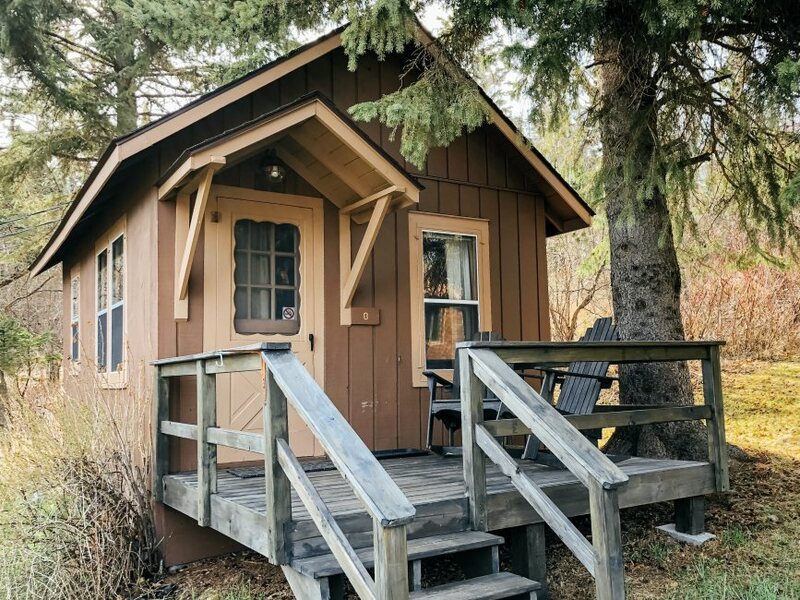 The first was built in 1924 and the most recent in 2000, so they cover atmosphere to suit any guest's holiday wishes - from rustic coziness to modern luxury replete with amenities. 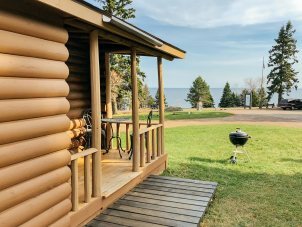 Several are set by the rushing Cascade Creek set into thick stands of spruce and pine, while others allow a full view of Lake Superior. 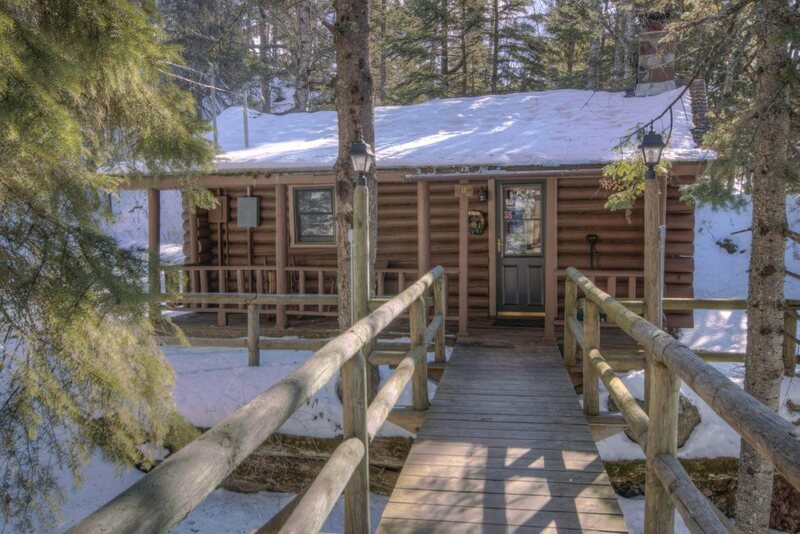 Wood burning stoves, stone fireplaces, and private campfire pits bring warmth to chilly nights and complete the welcoming ambiance and undeniable appeal of these cabins. 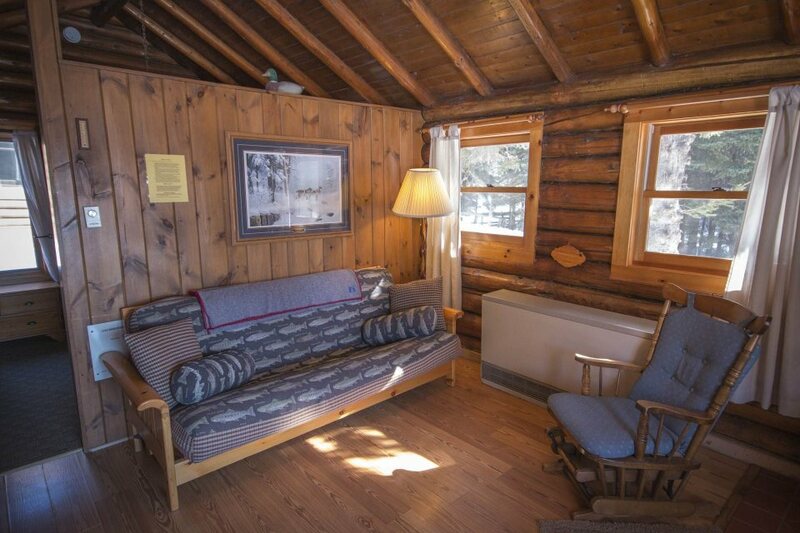 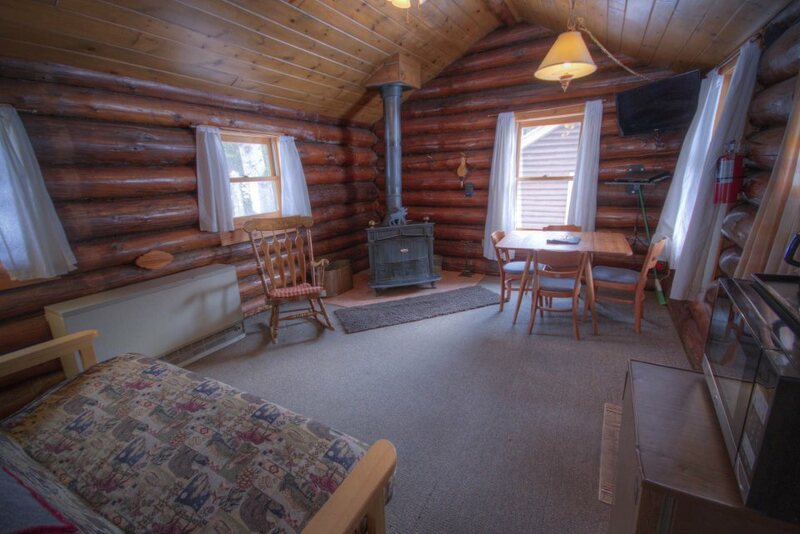 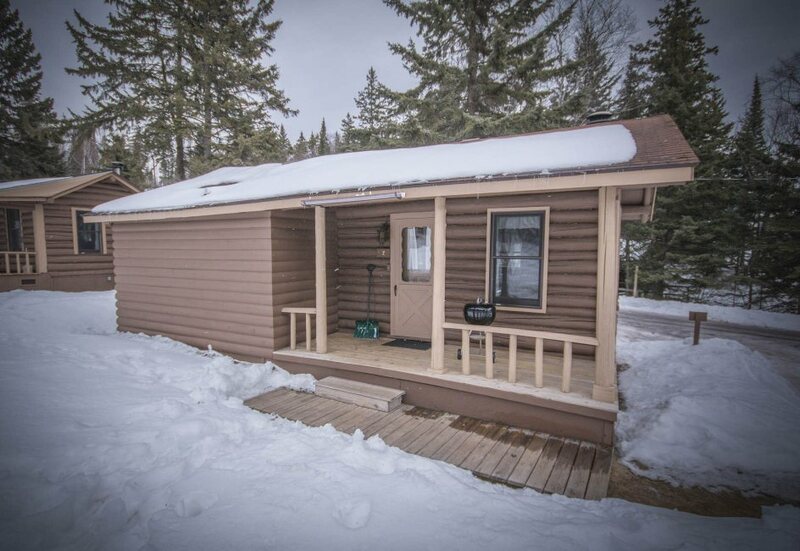 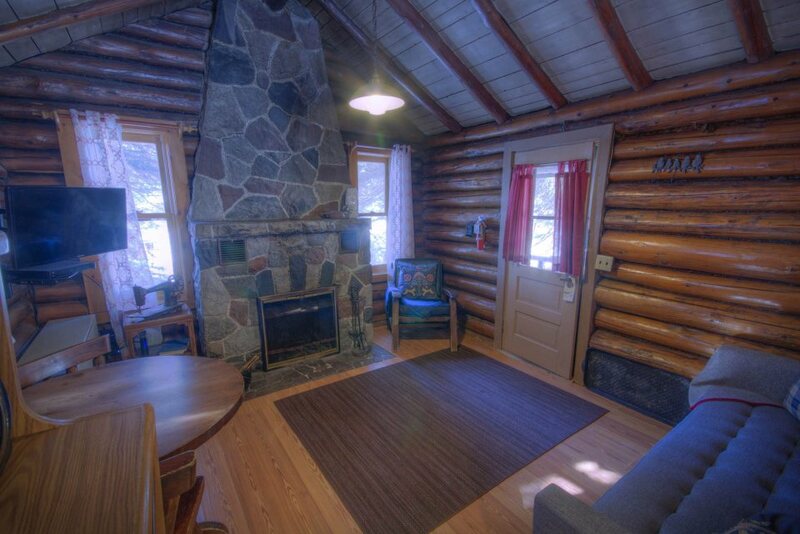 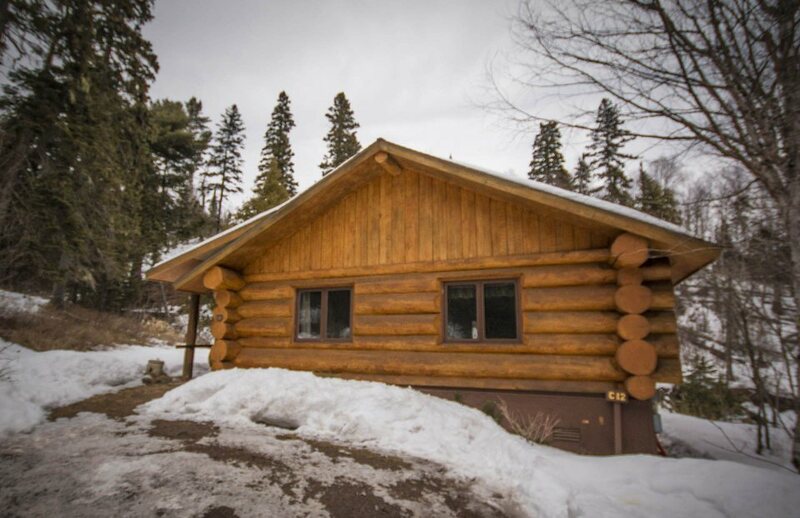 Step into history in this refurbished log cabin beauty, built in 1927! 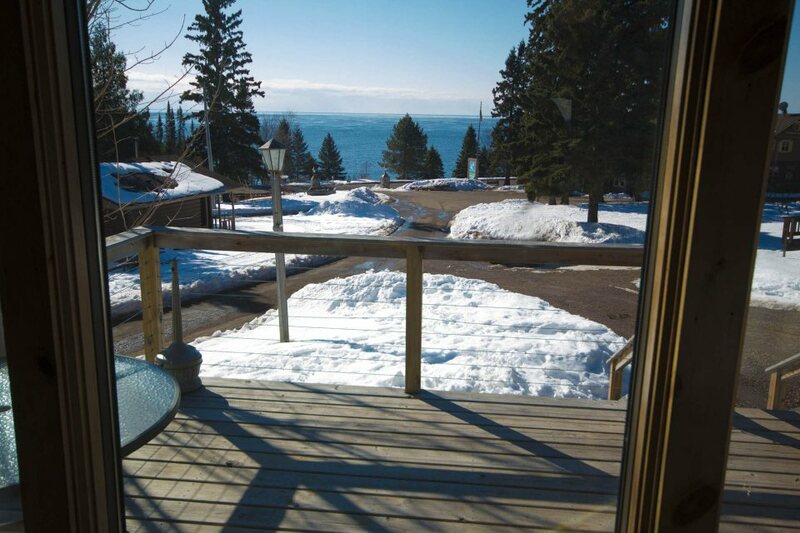 Enjoy morning coffee from indoor comfort while watching a North Shore sunrise splash over Lake Superior. 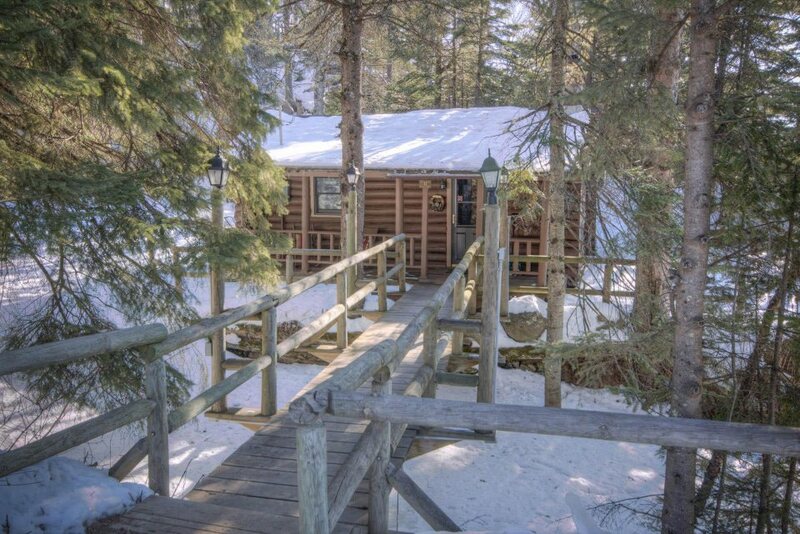 Stargaze from a cozy porch as deer emerge from the forest to graze. 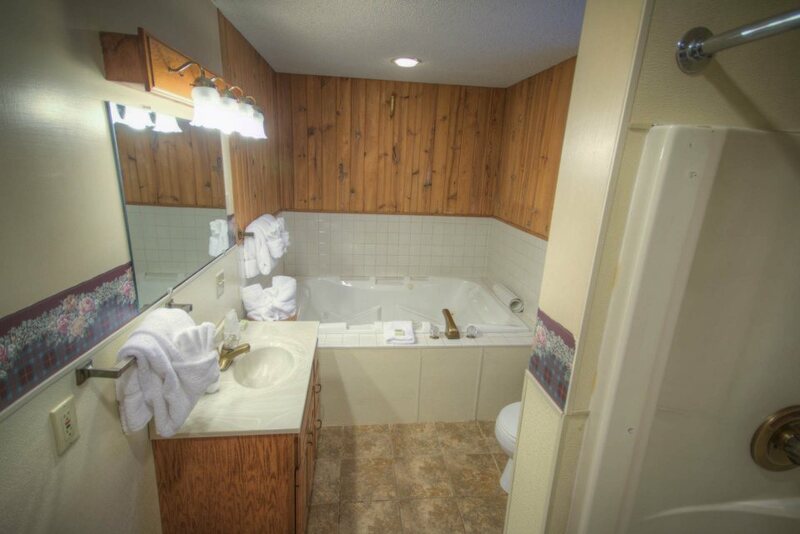 A true blast of the past with all the modern-day amenities. 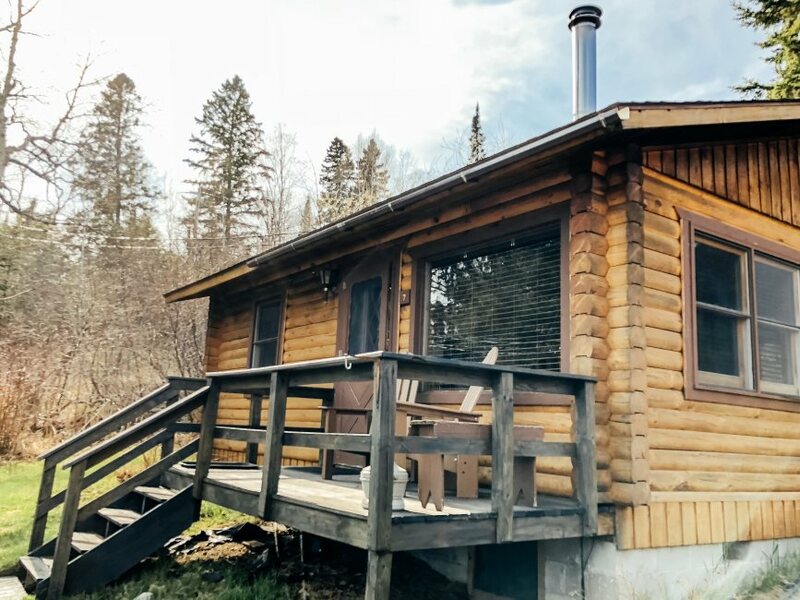 Another nearly century old refurbished original, this log cabin gem will fill you with the charm of an era past without sacrificing present day comfort and convenience. 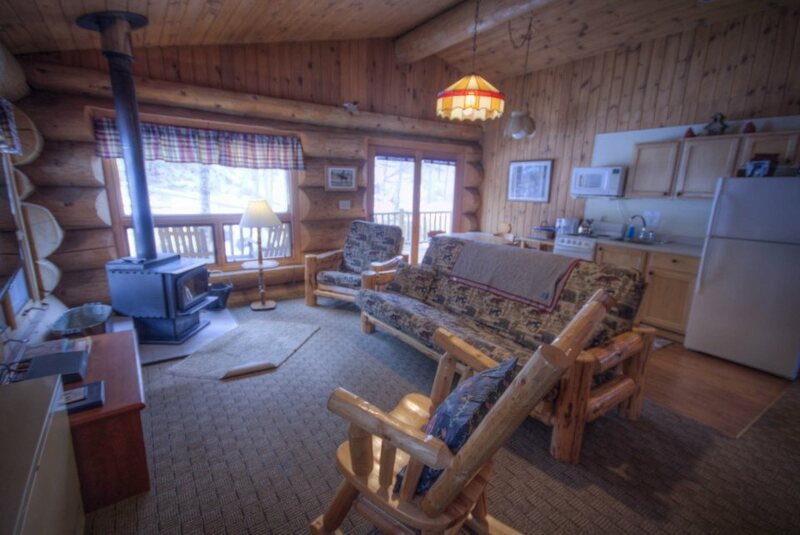 Rustic and Northwoods cozy, with a gorgeous stone fireplace to warm up and reminisce with loved ones after a day of outdoor exploration. 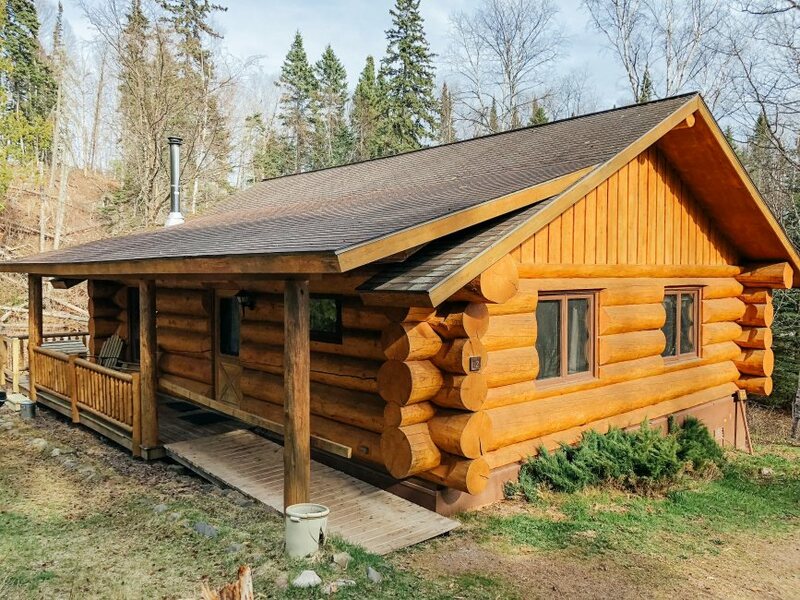 This historic log cabin original welcomes you with Northwoods ambiance and a wood burning fireplace to chase away the fresh chill of our North Shore nights. 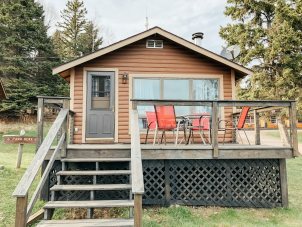 Plan an enchanting sundown BBQ on its front porch, and if you are very lucky, you might be serenaded by wolves from the nearby forest! Bright and cheerful, this welcoming cabin with a pine paneled interior offers a great view of Lake Superior from within, or from its spacious deck—the perfect spot for an evening cookout and moonlit beverages. 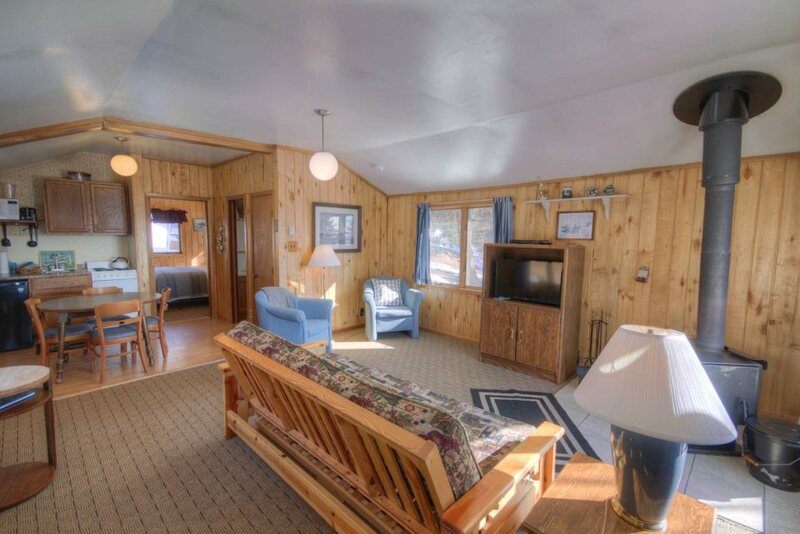 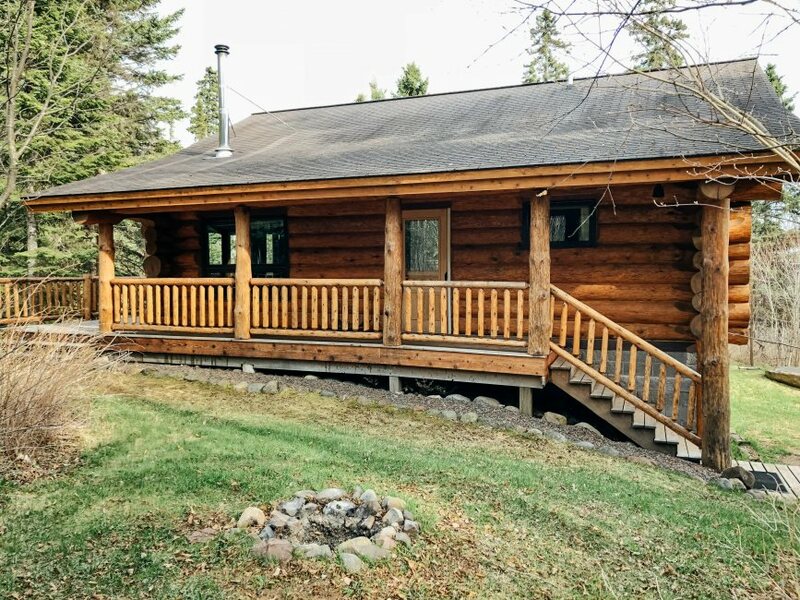 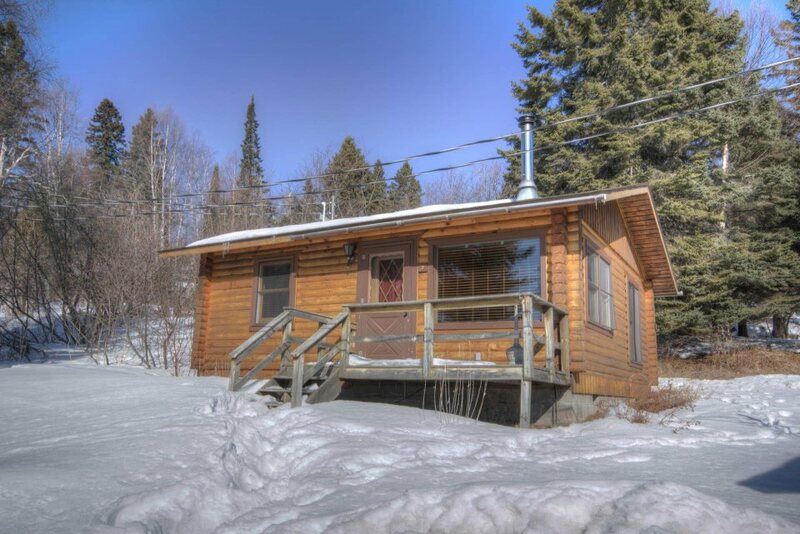 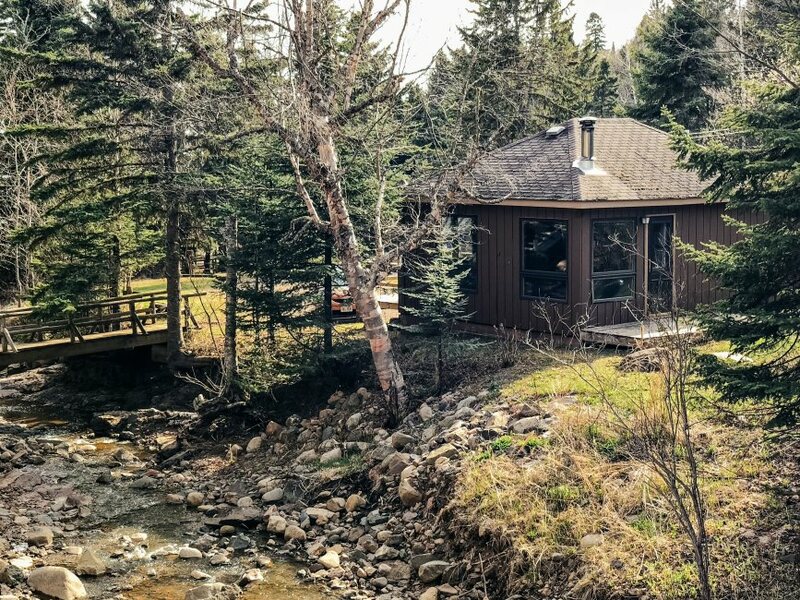 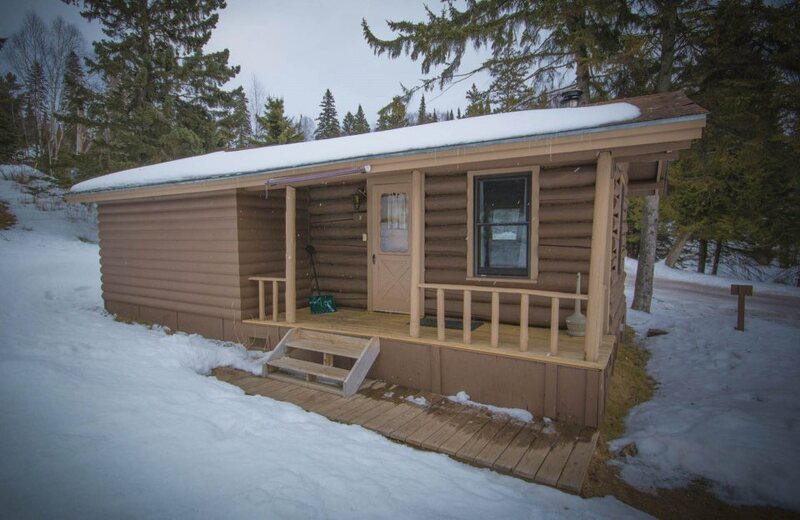 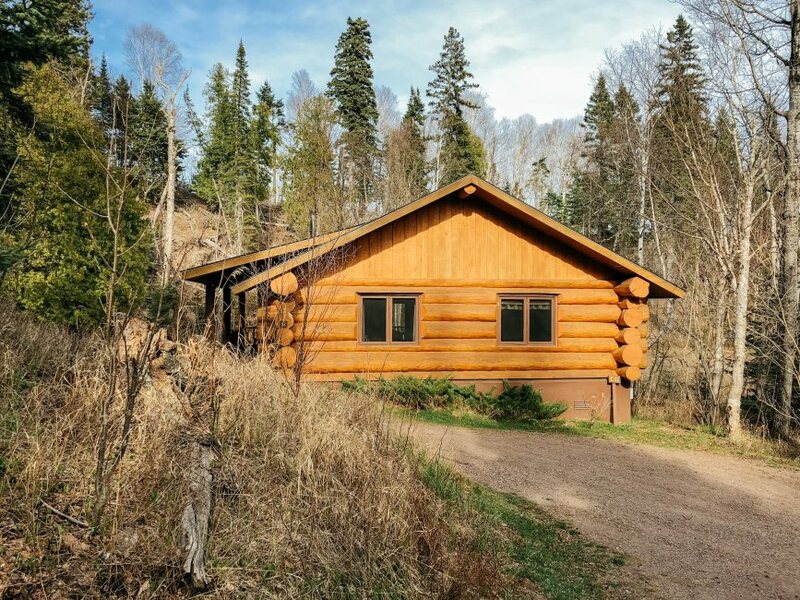 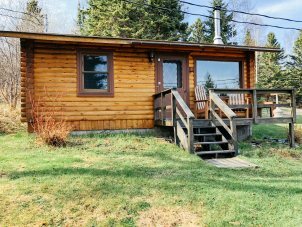 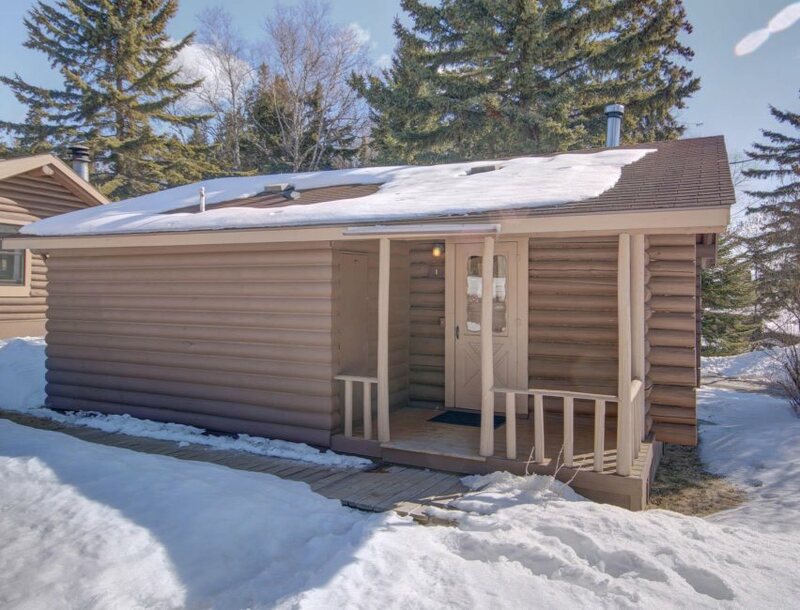 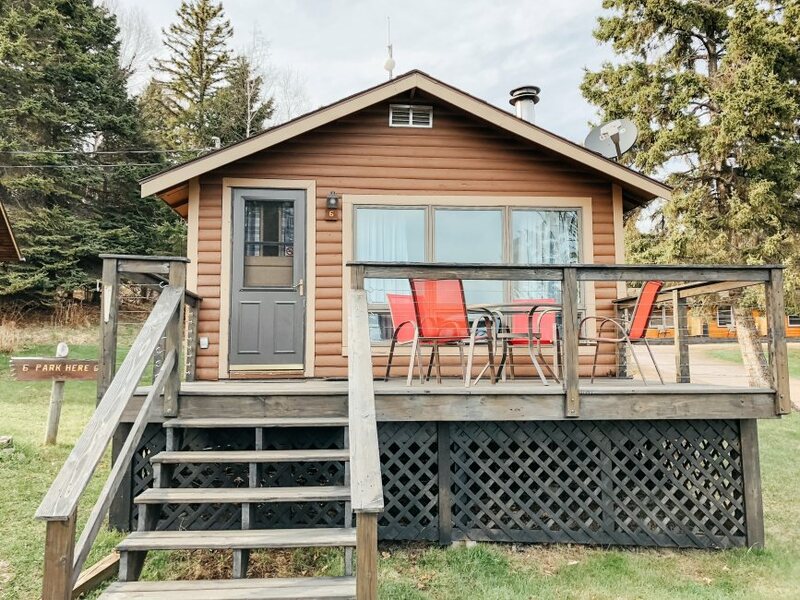 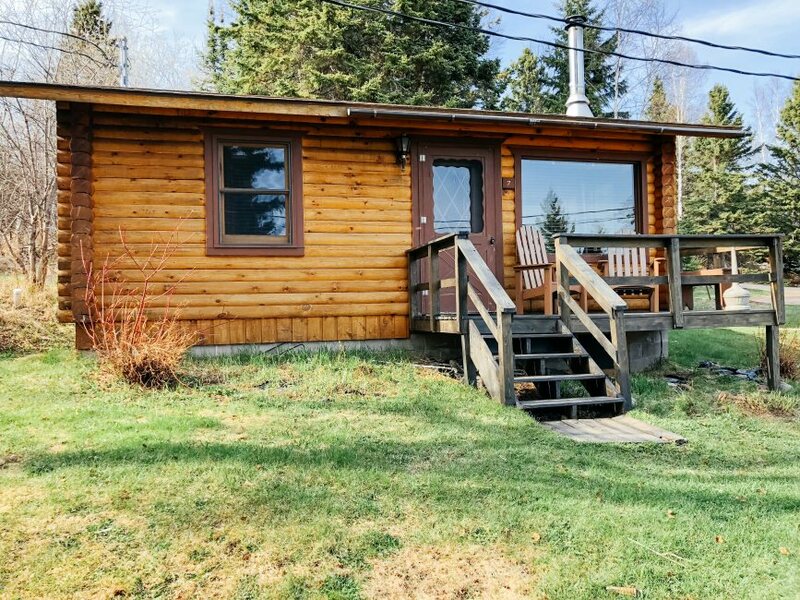 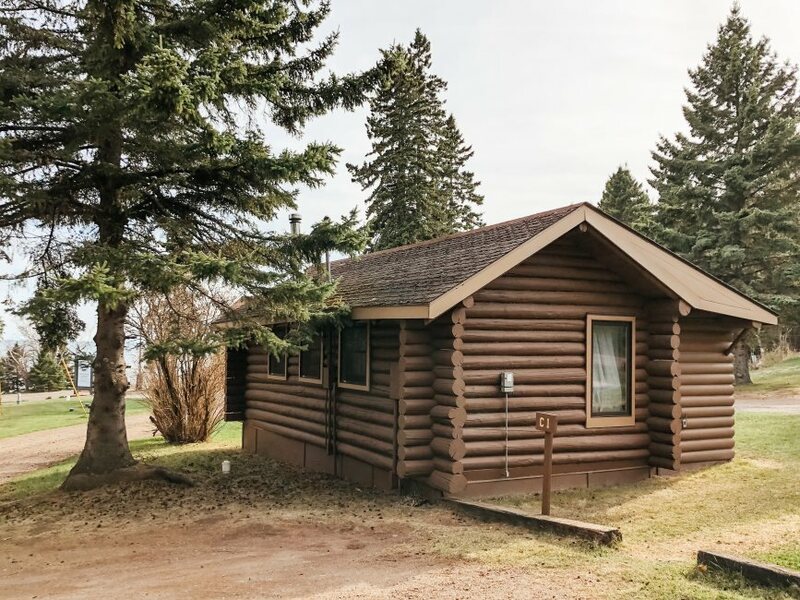 Delightful log cabin with incredible Lake Superior view and relaxing space is meant to be a perfect retreat capturing the essence of the Northwoods. 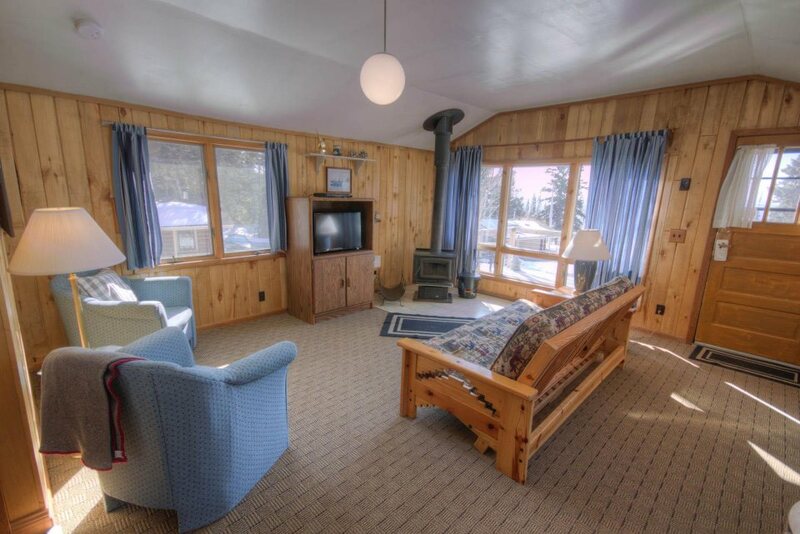 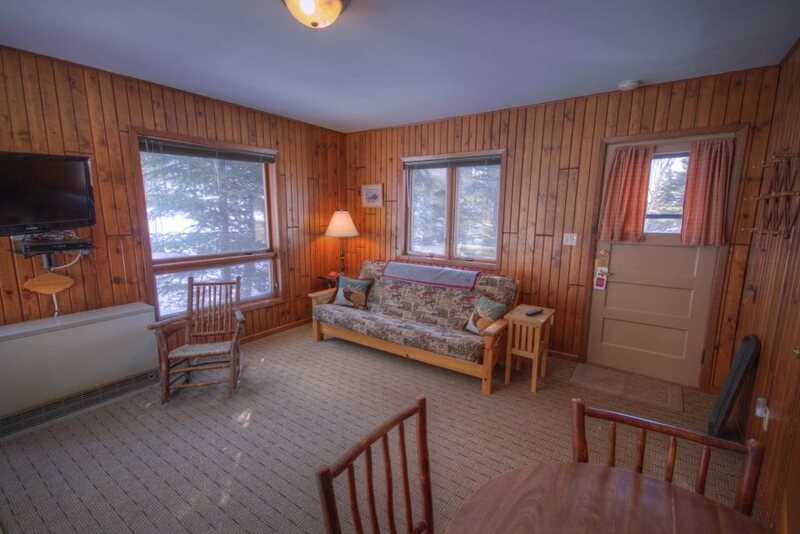 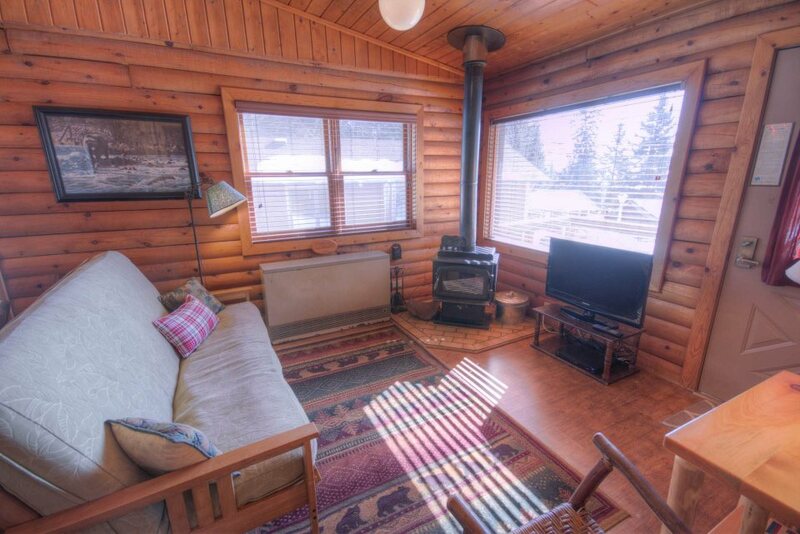 Watch the lake from the comfort of the living room while enjoying a quiet moment and crackling fire in the wood burning stove. 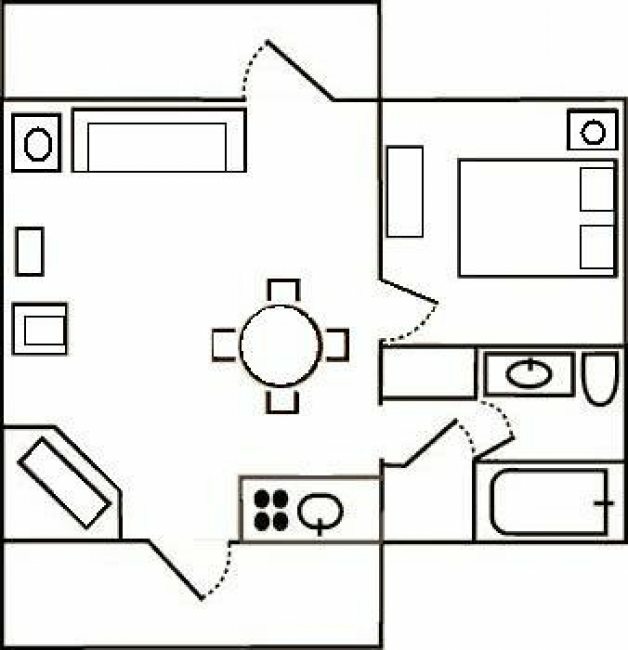 Feel like coffee or a glass of wine? 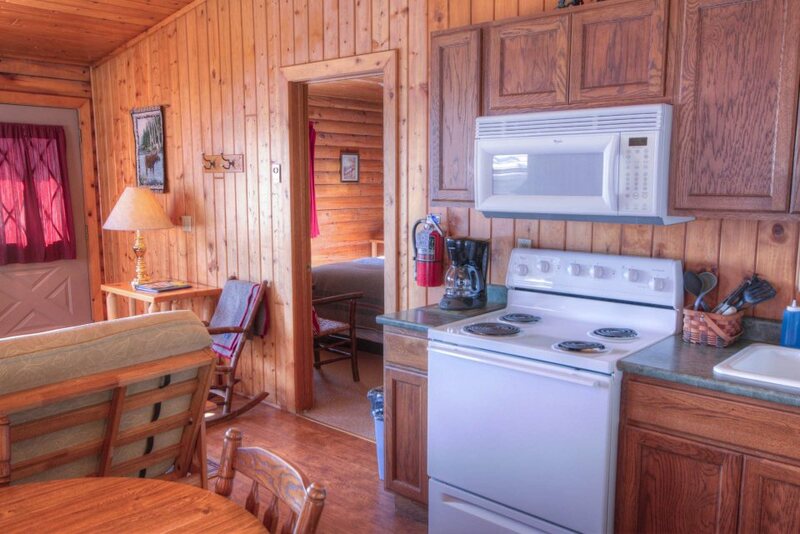 Guesthouse 7 has a lovely kitchen and a cozy dining nook equipped to provide essential provisions. 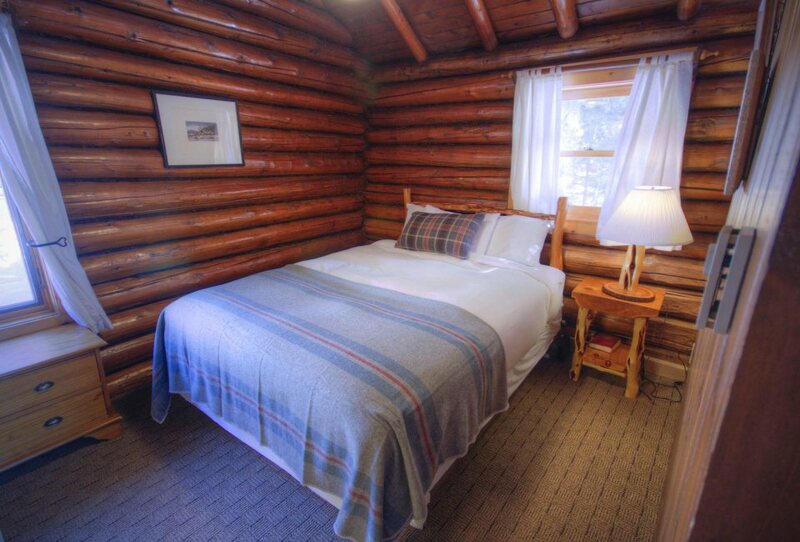 When ready to retreat for the day, a comfortable separate bedroom will offer an ideal space for rest. 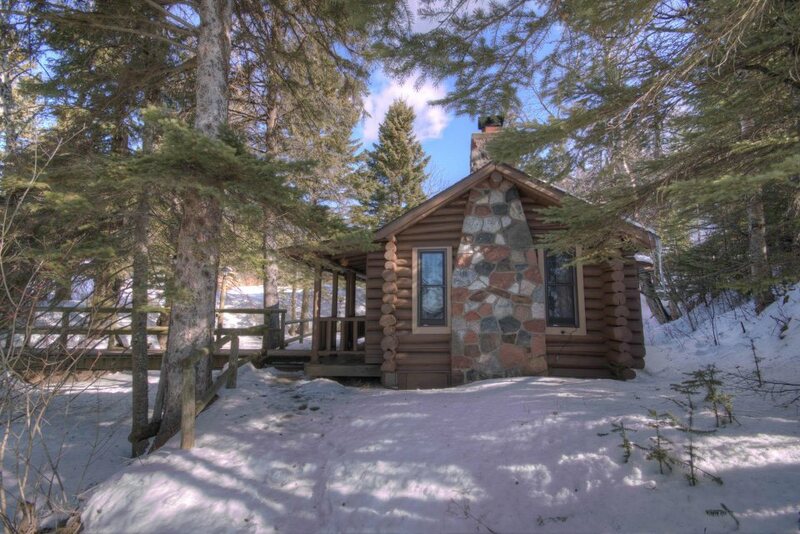 This romantic pine paneled cabin with a Lake Superior view is as cozy as cozy can be. 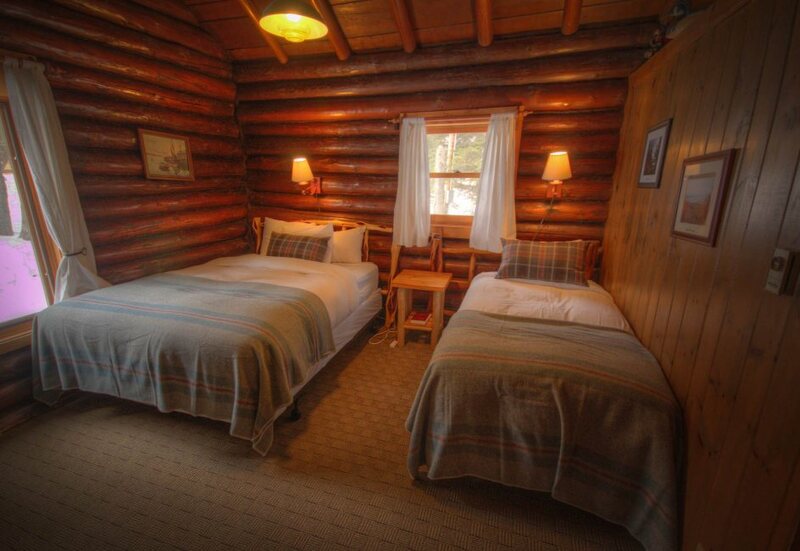 It’s an ideal place to share life’s precious moments with that “special other” after a day of North Shore activities. 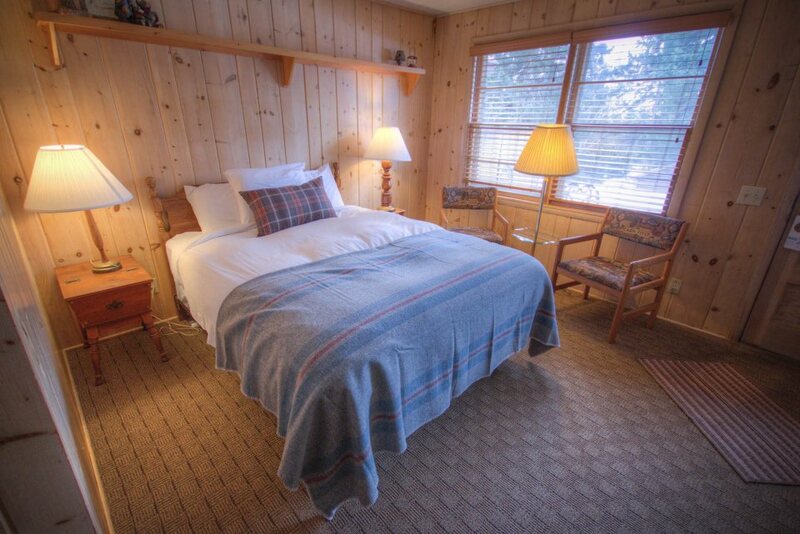 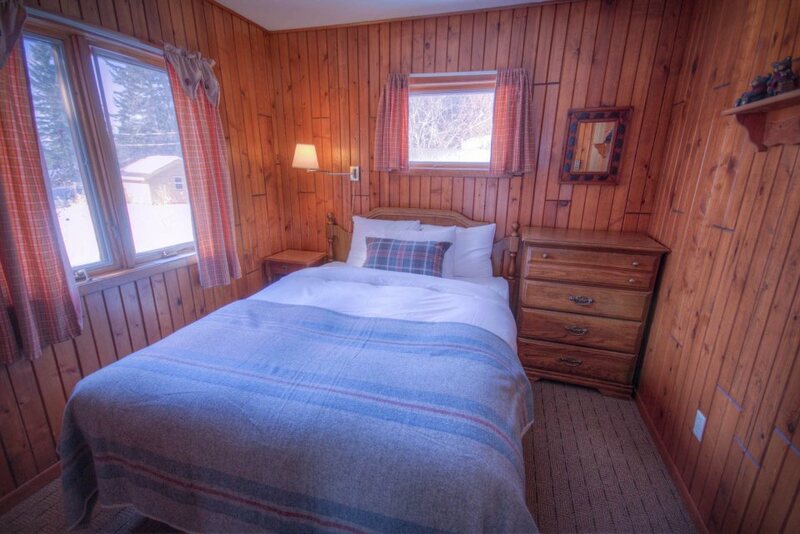 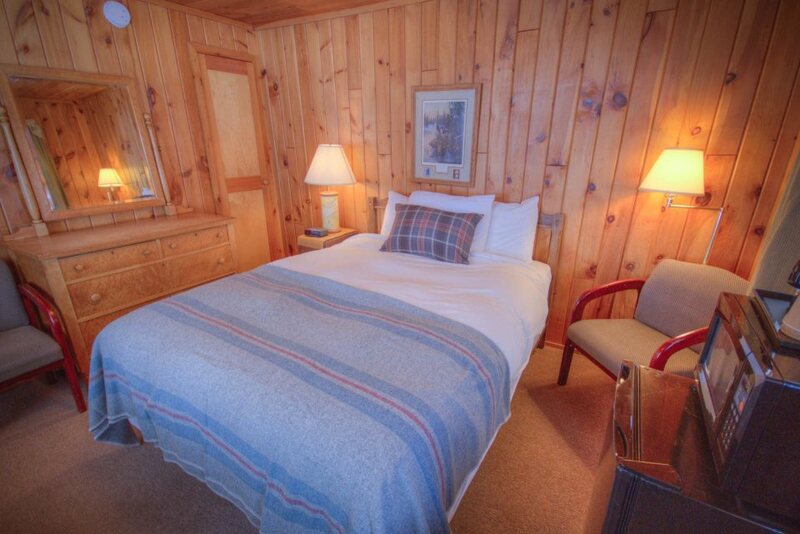 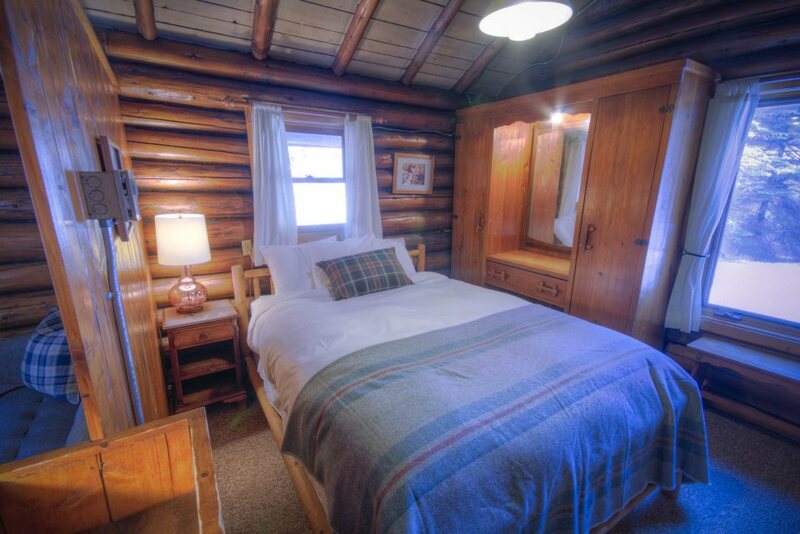 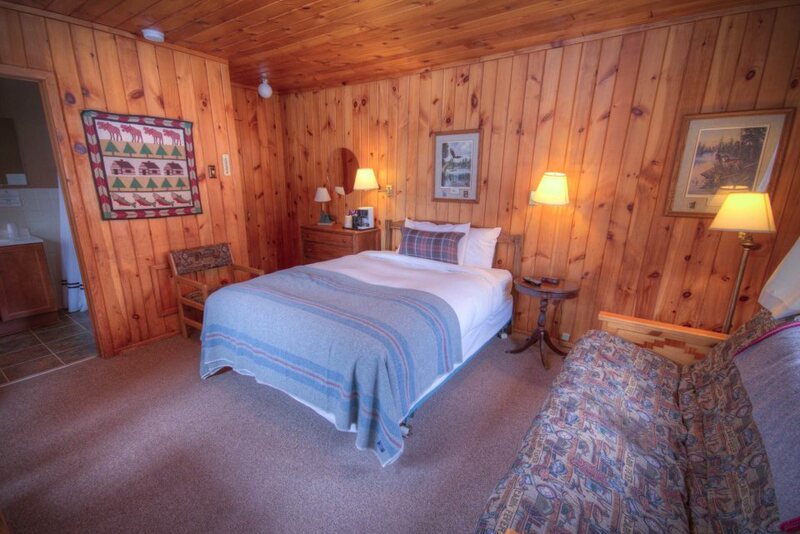 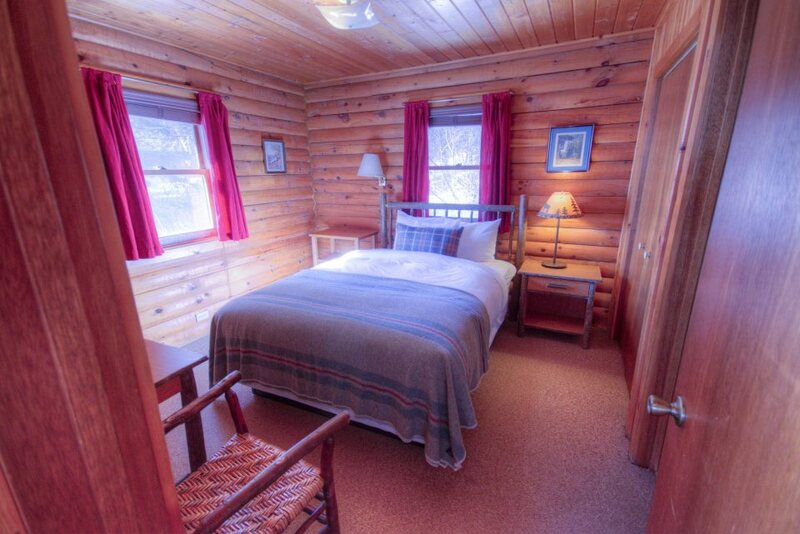 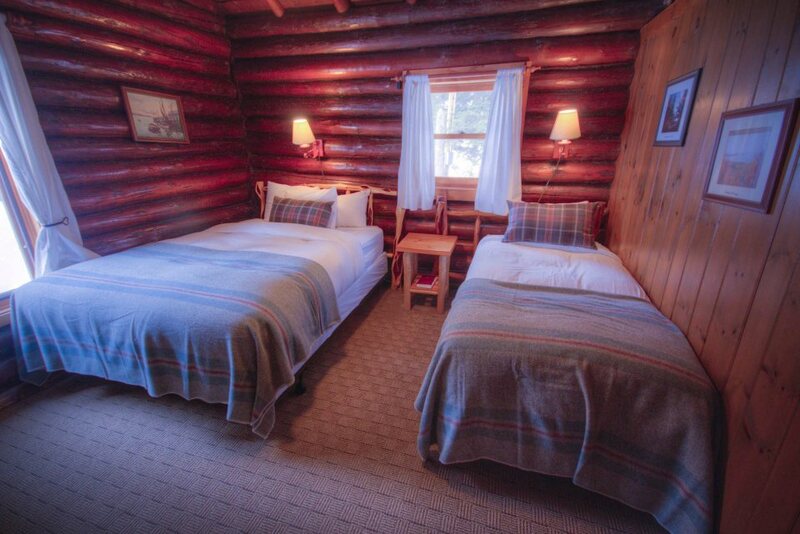 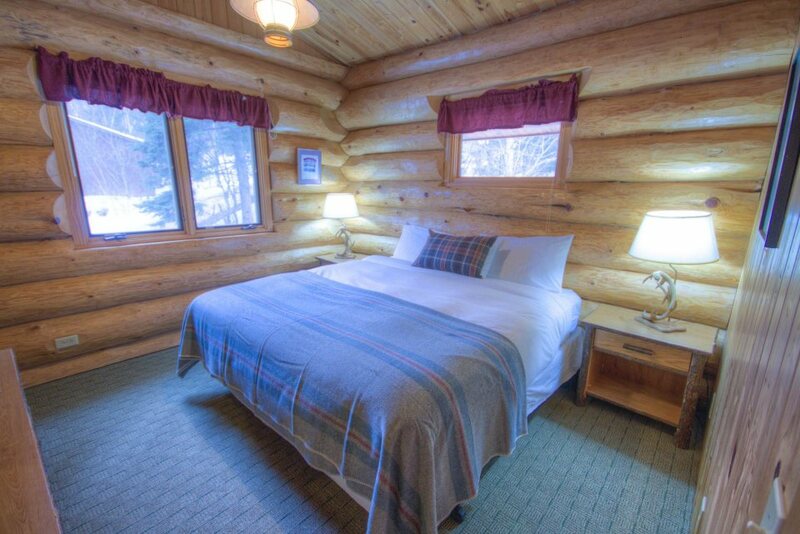 Marvel at a spectacular Lake Superior sunrise right from your bed in this spacious pine paneled cabin. 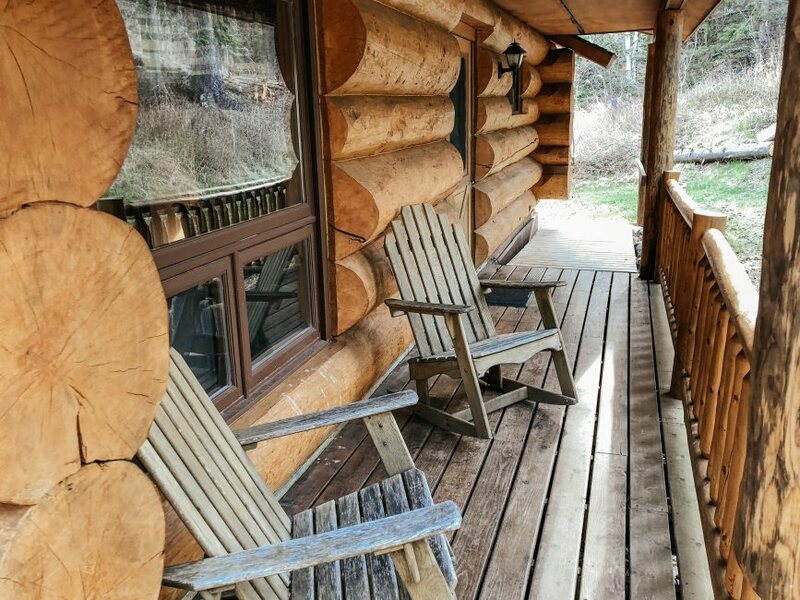 Relax with dear ones and your favorite beverage on its roomy deck as daylight gives way to dusk. 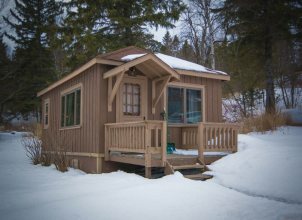 You might spot deer or a fox or other Northwoods denizens as you do! 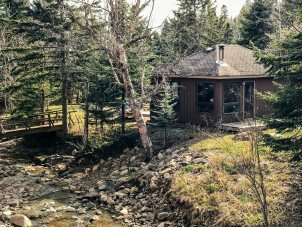 Steps away from the footbridge to our outdoor Meditation Chapel and Wildflower Trail, Wildflower cabin offers two decks and a beautiful private outdoor campfire area adjacent to Cascade Creek. 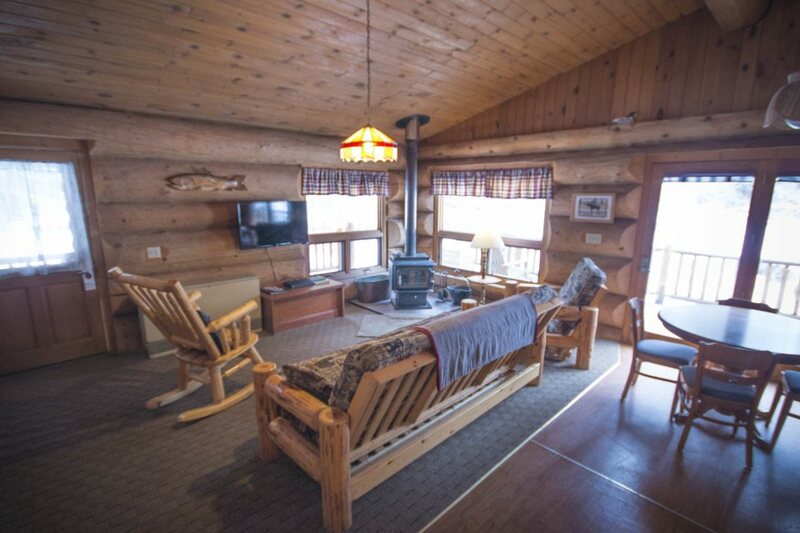 This cabin features open living area with a beautiful wood burning fireplace surrounded by picture windows overlooking Cascade Creek. 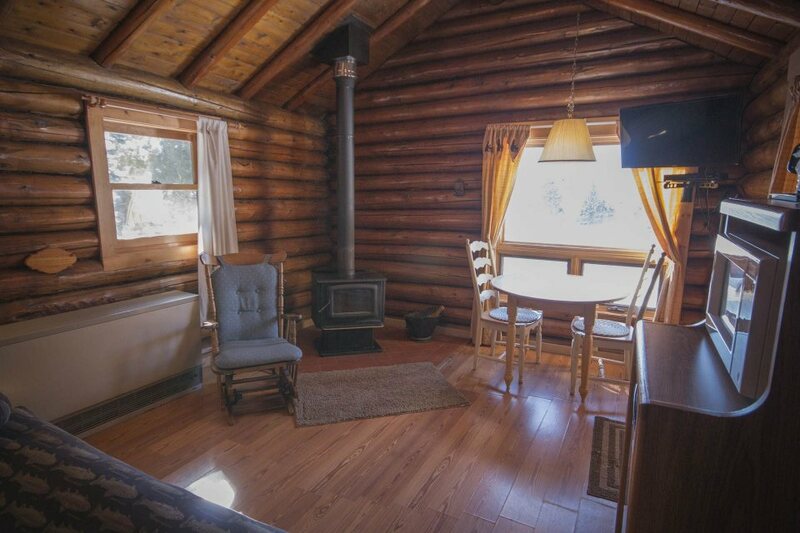 This original 1927 log cabin sits on the bank of Cascade Creek across a private footbridge. Fondly known as the Honeymoon Cabin, this cabin is adjacent to Cascade Falls hiking trail and even has its own 1930’s root cellar. 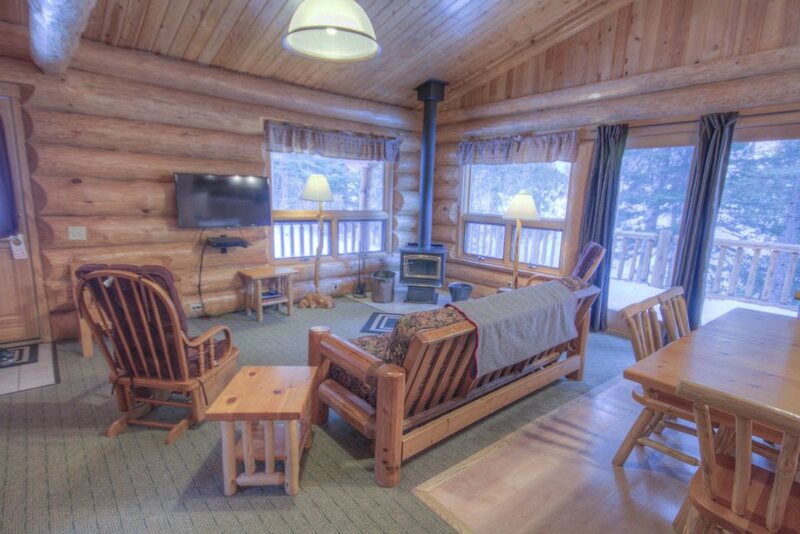 Enjoy the tranquility of Cabin Eleven while listening to the creek from your bed or enjoying a glass of wine by the wood burning fireplace. 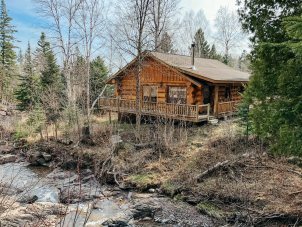 Luxury log cabin overlooking Cascade Creek in a lovely forest setting with a wraparound deck and private outdoor campfire area. 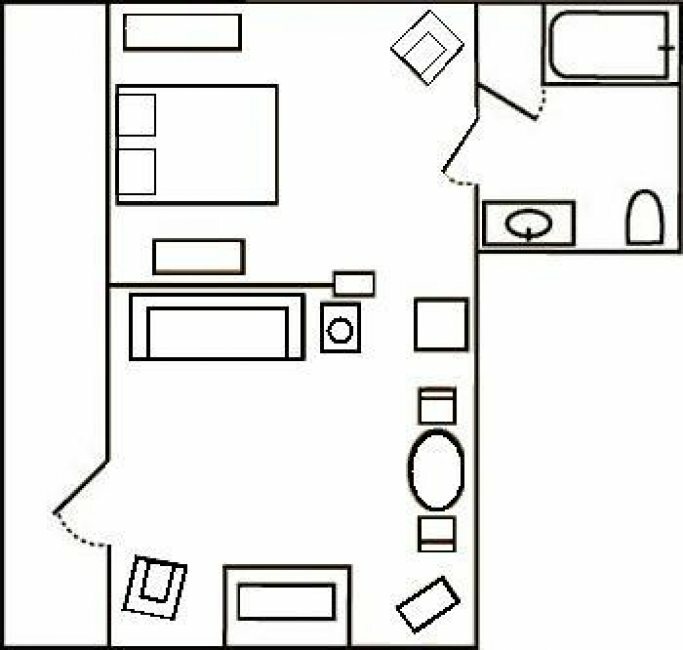 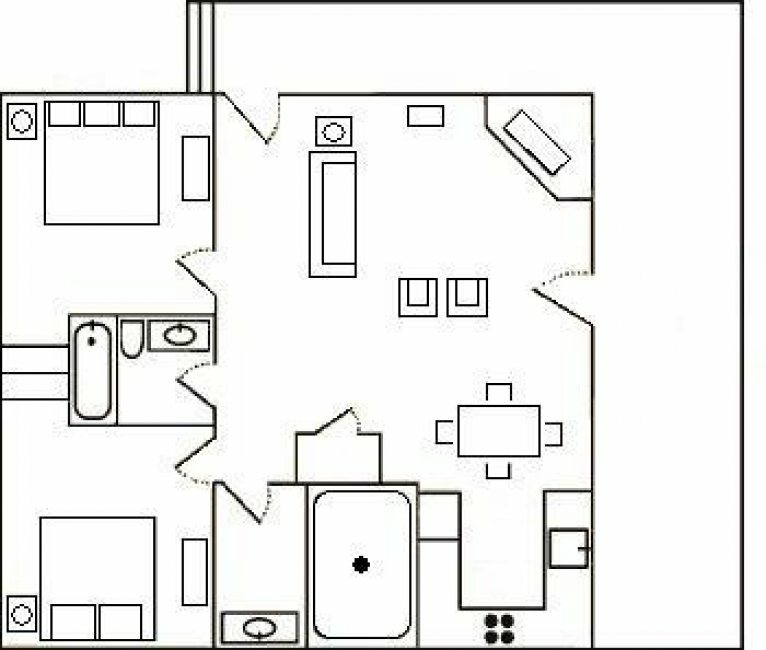 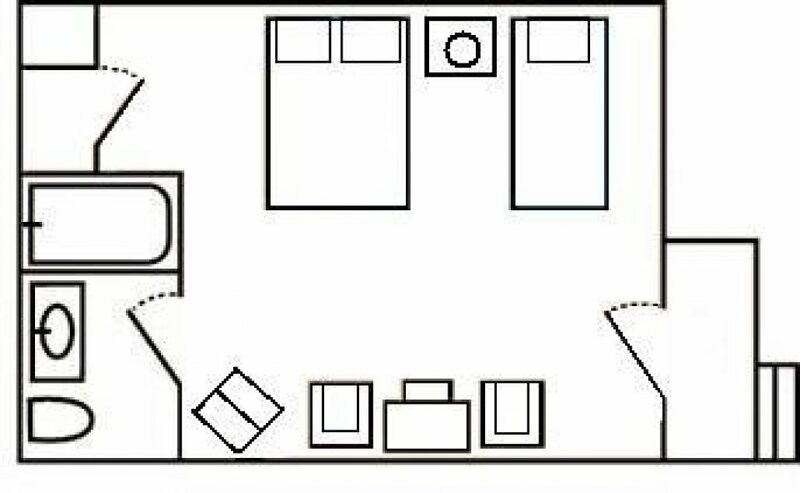 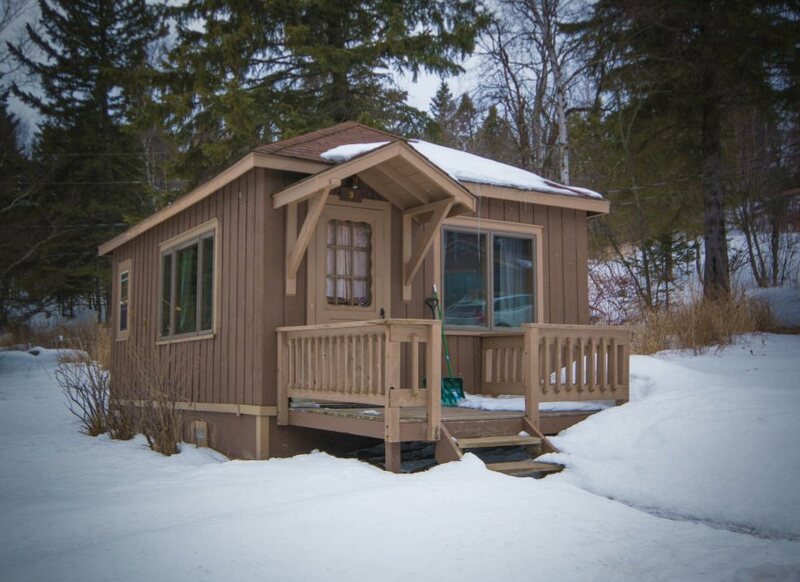 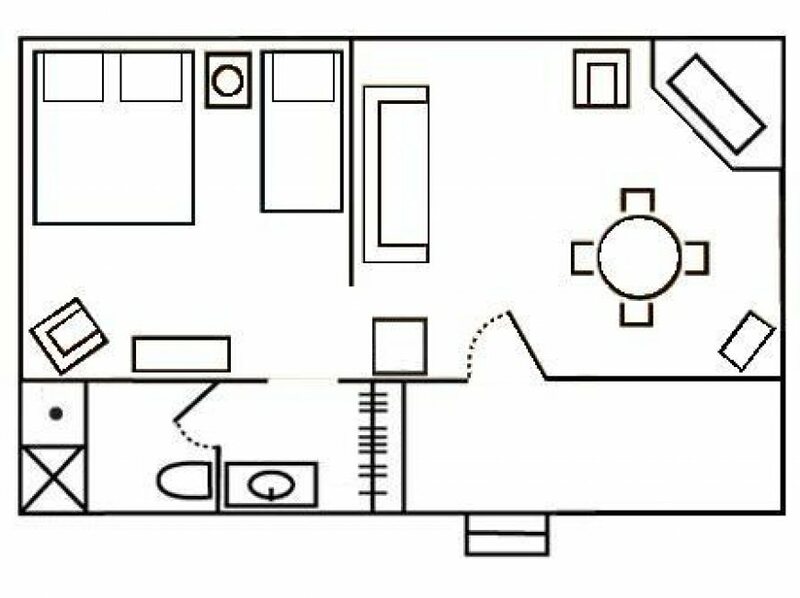 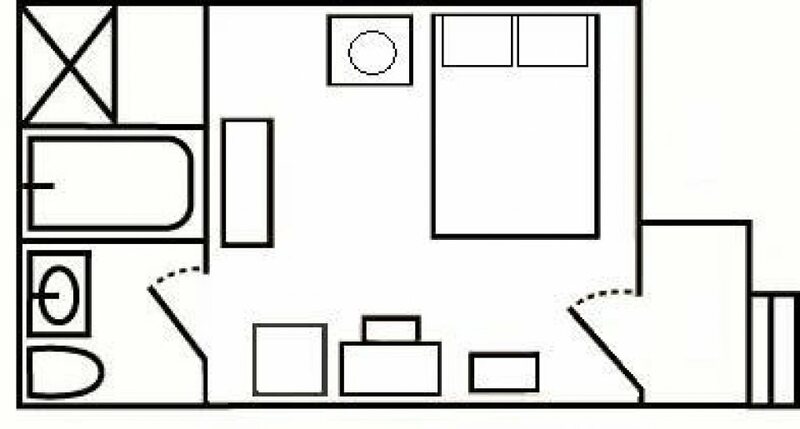 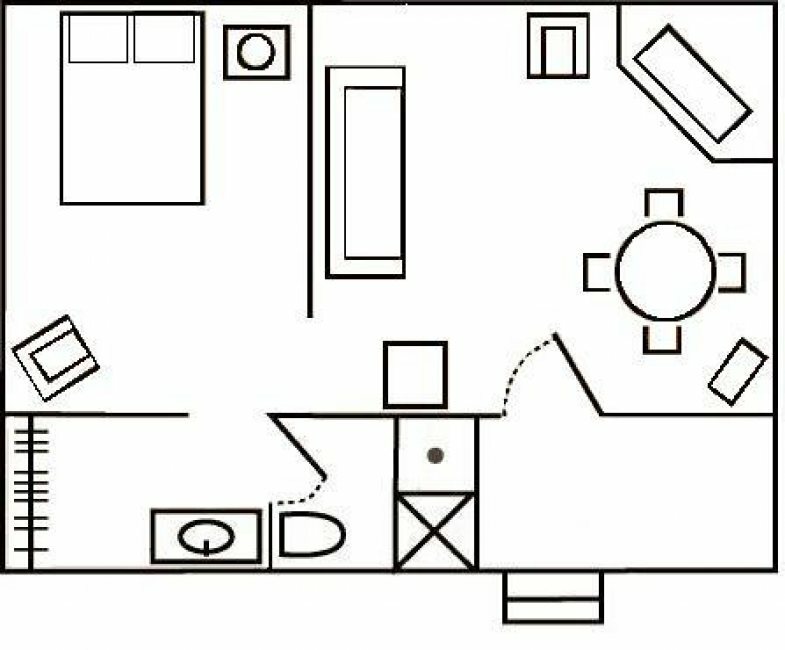 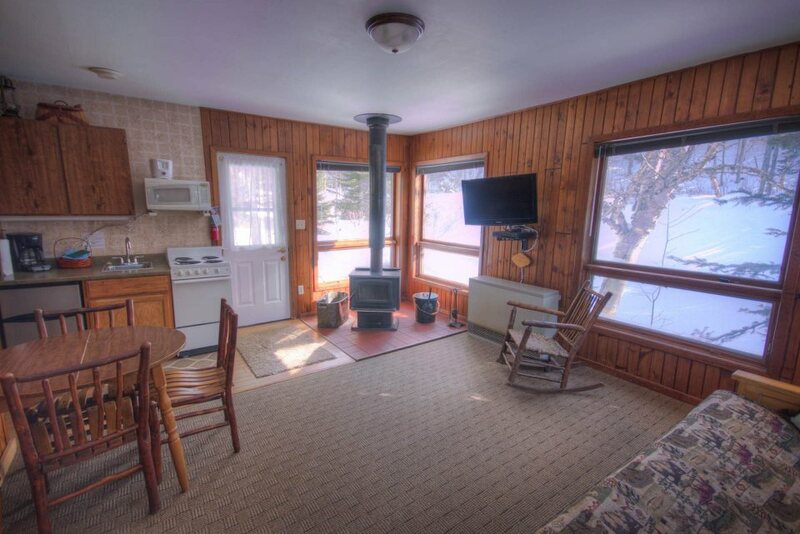 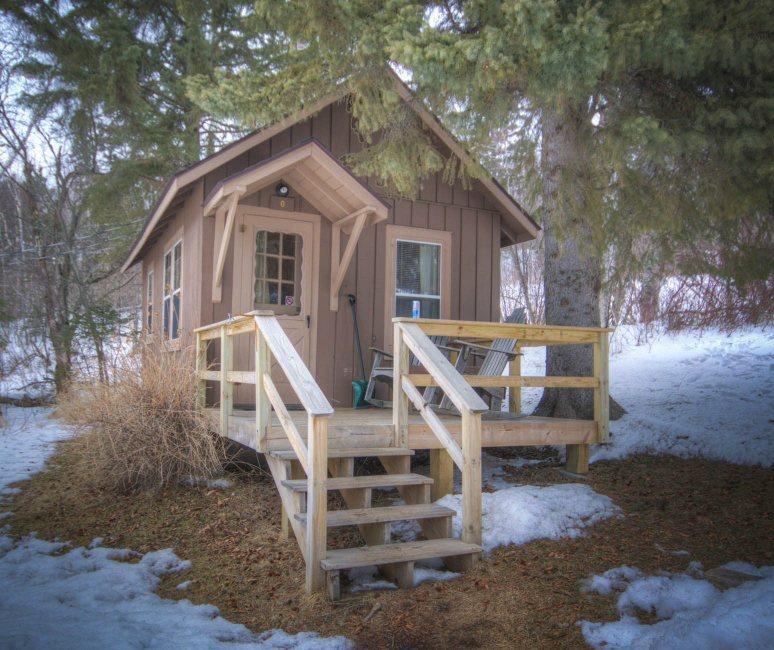 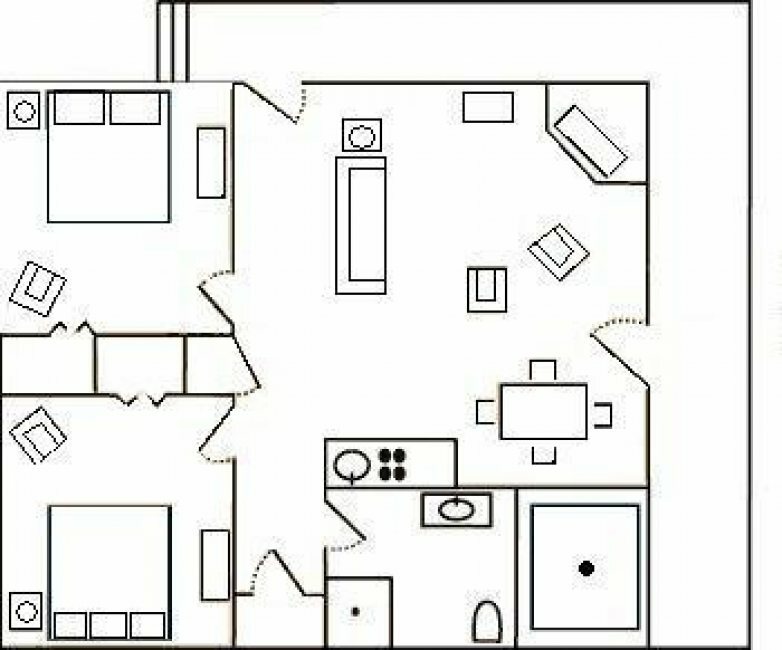 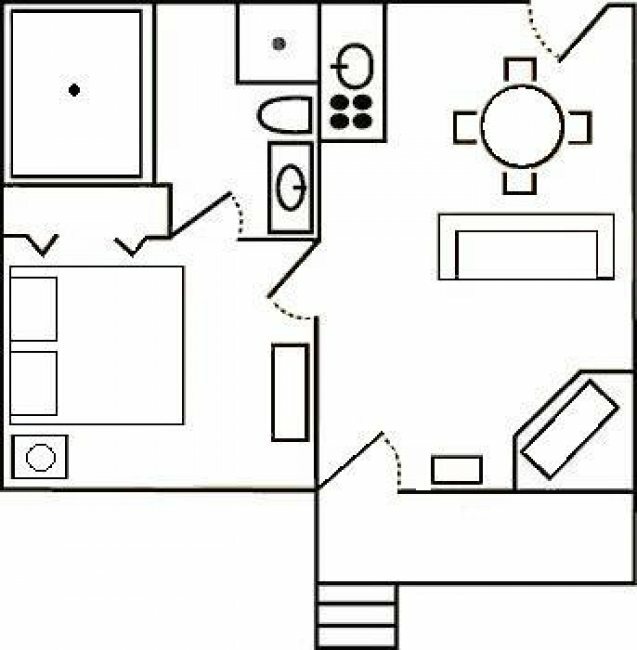 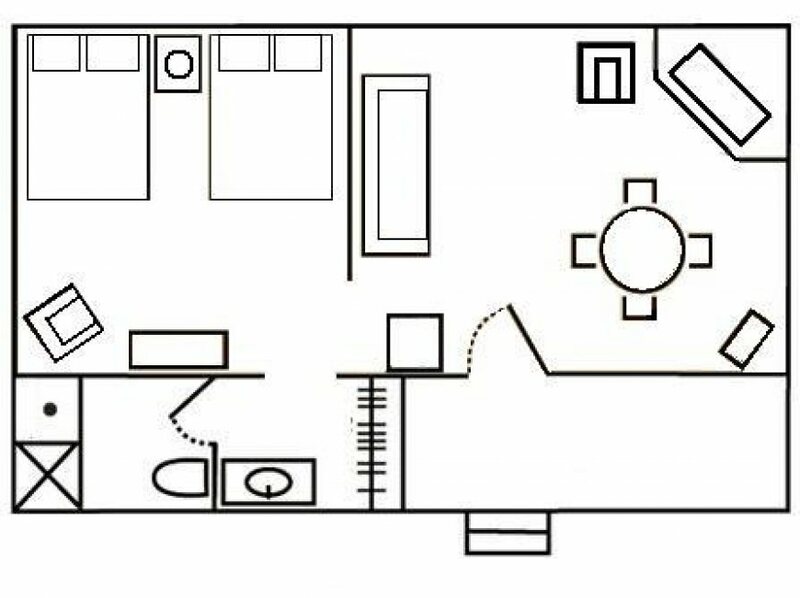 Lupine Cabin has 2 separate bedrooms, full kitchen, spacious living room, and a full bath with whirlpool tub and a separate shower. 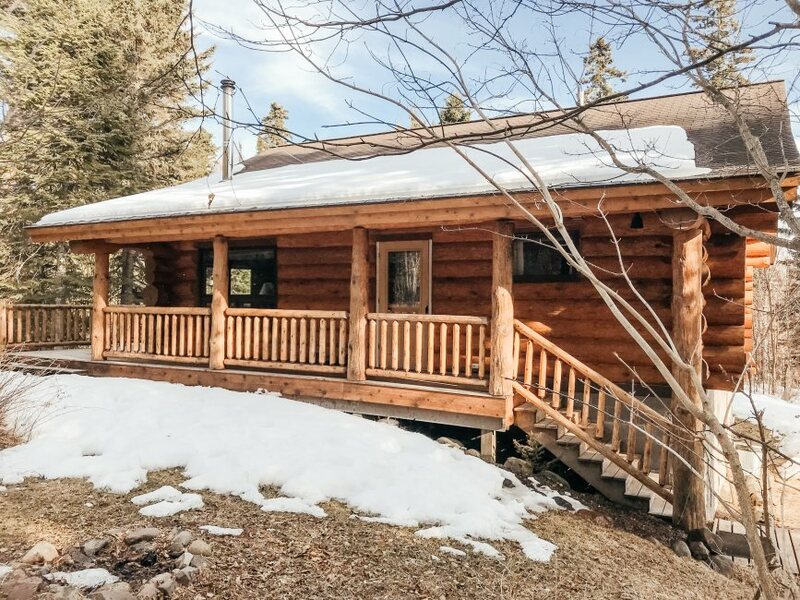 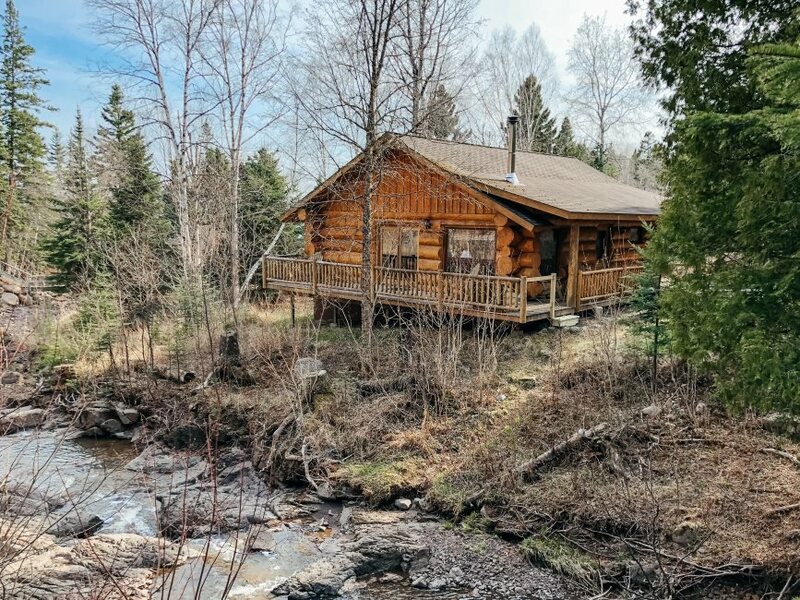 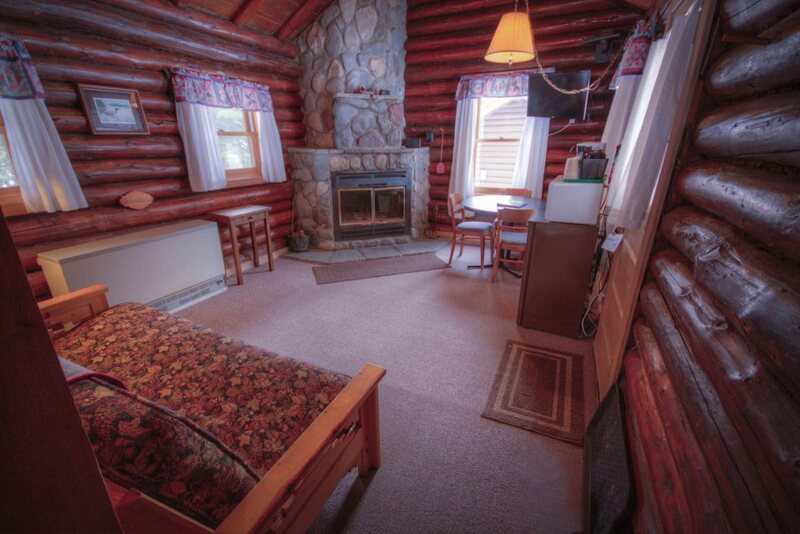 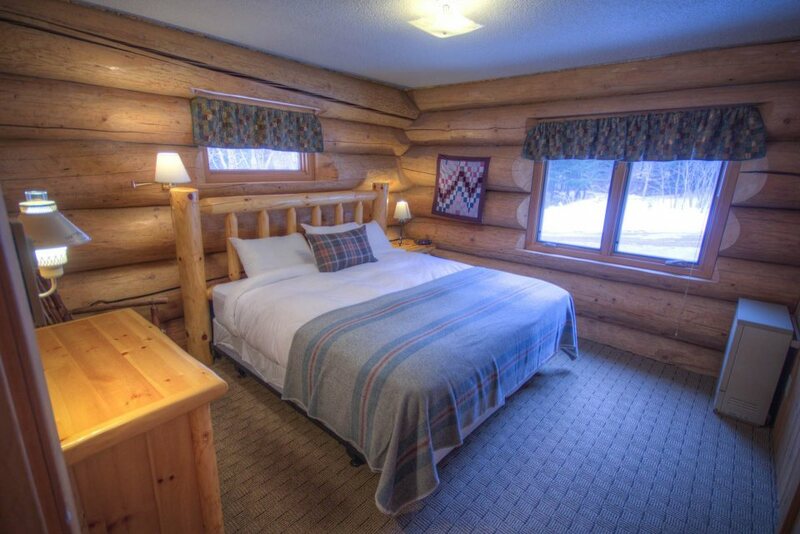 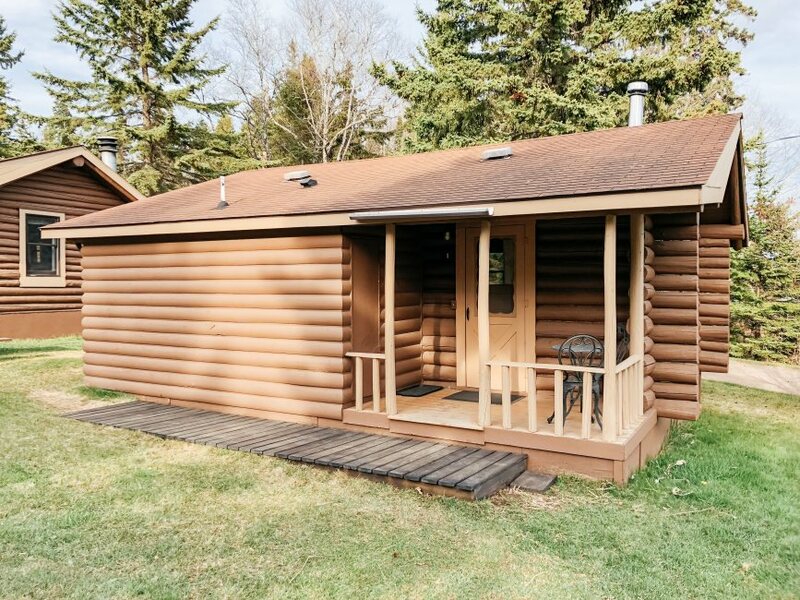 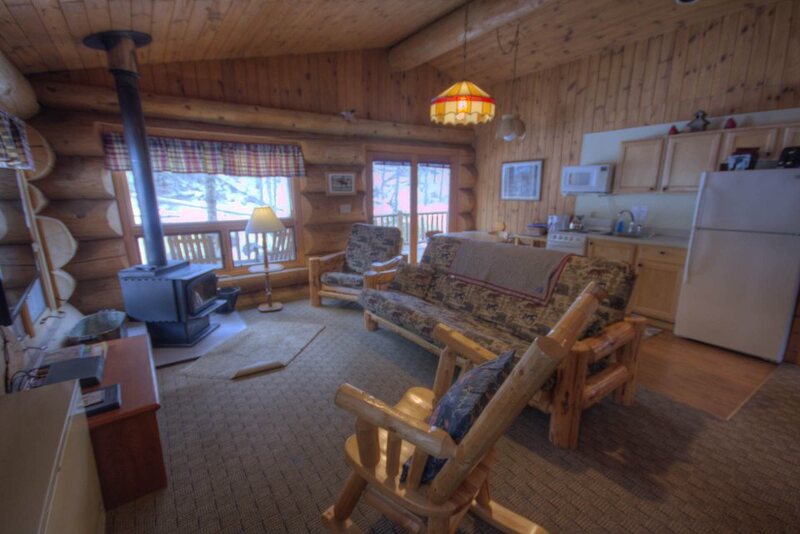 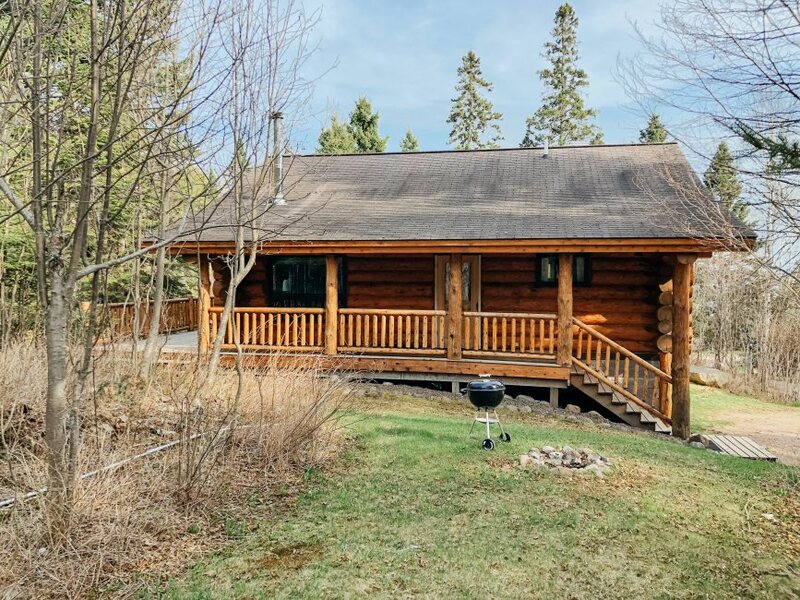 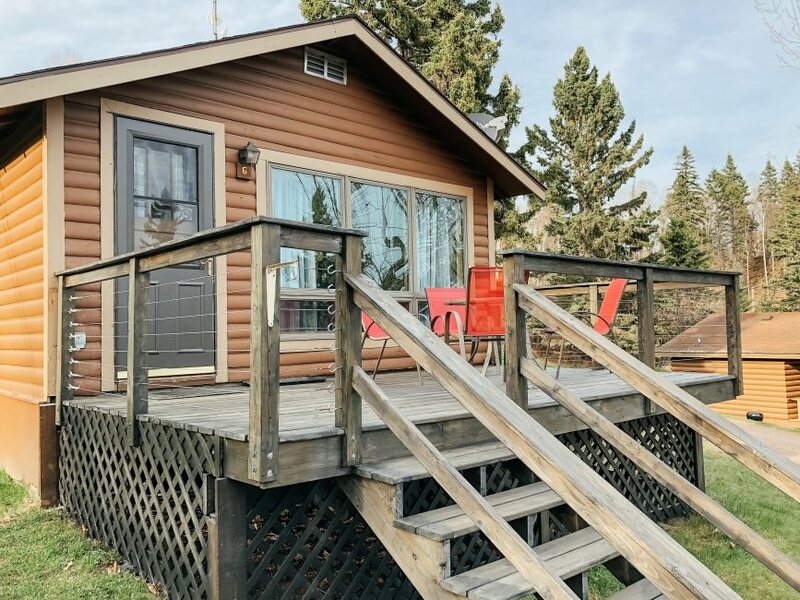 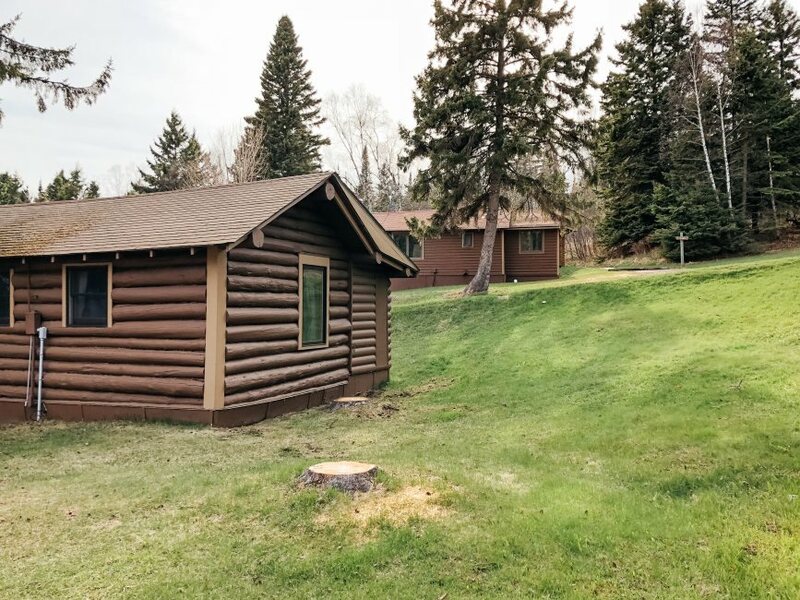 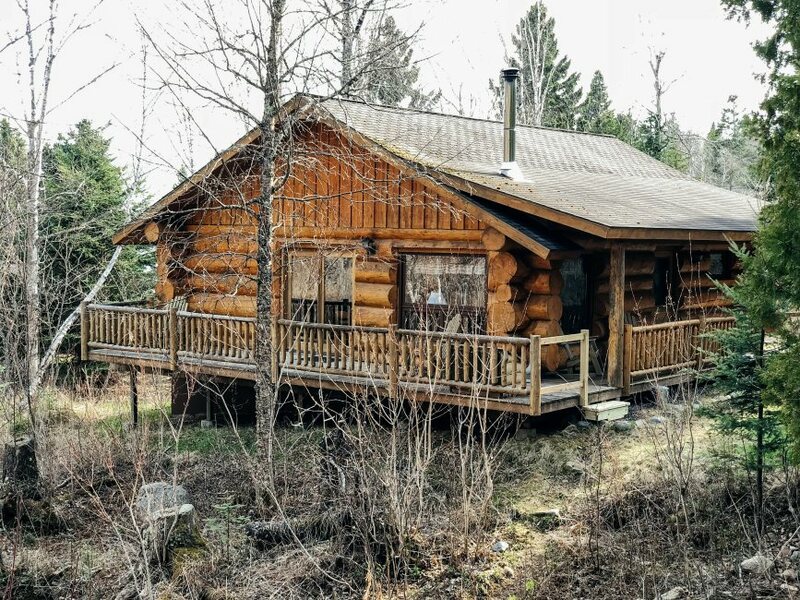 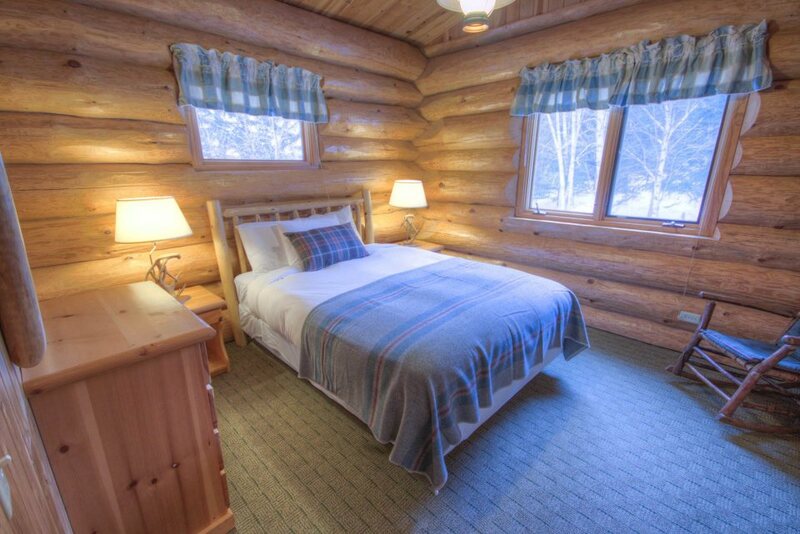 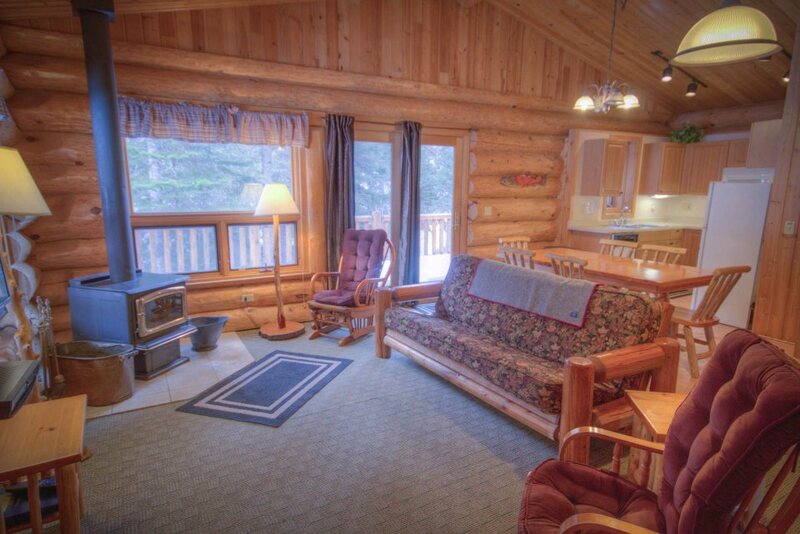 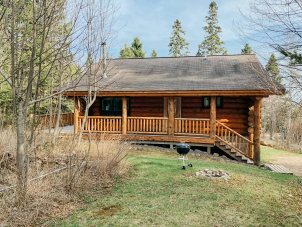 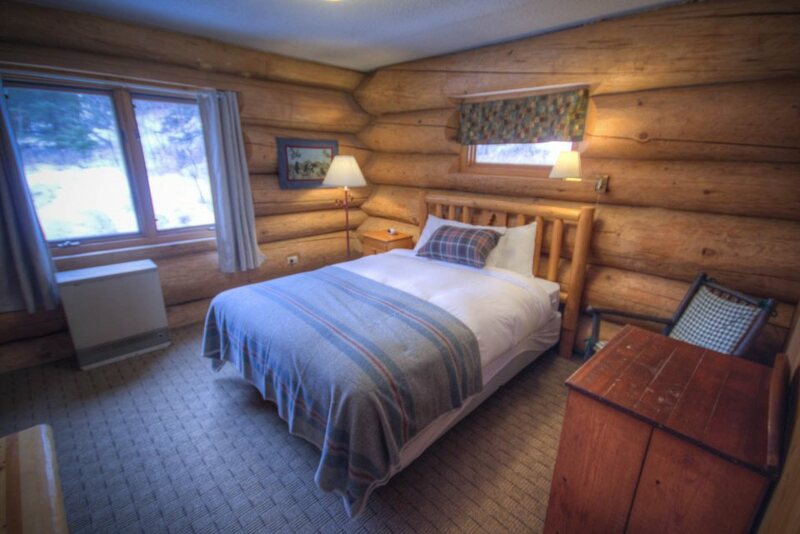 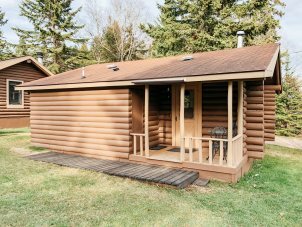 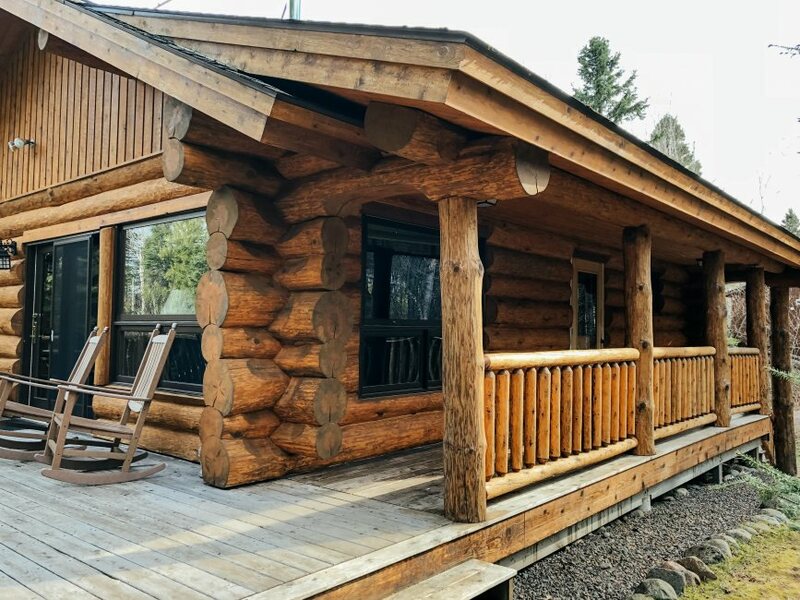 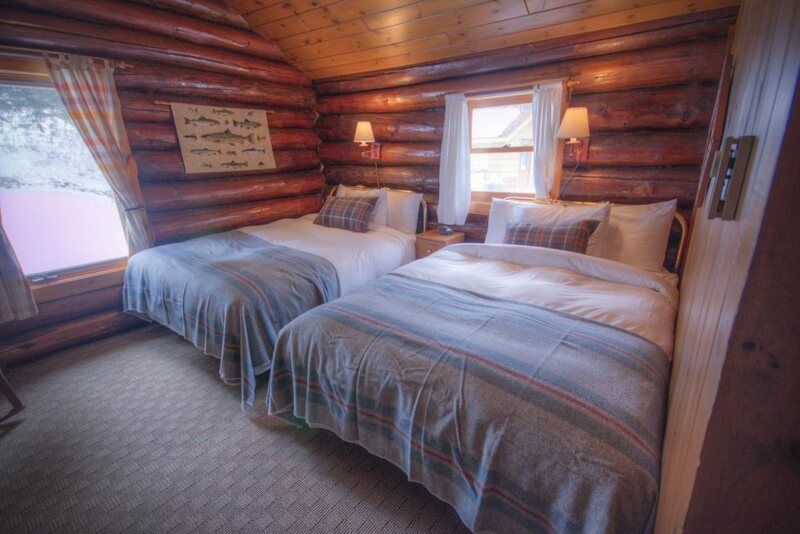 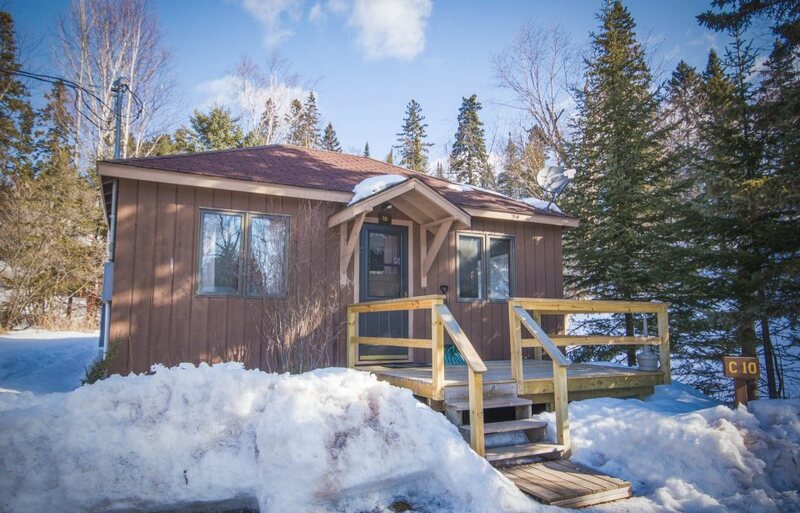 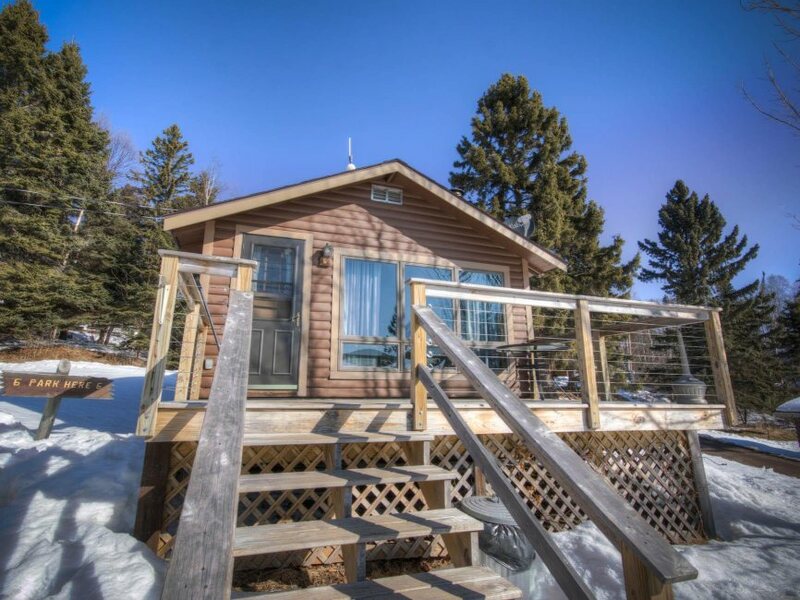 Perfect for a weekend getaway or a weeklong stay in the Northwoods, this luxurious log cabin overlooks Cascade Creek and offers spacious accommodation and undeniable charm. 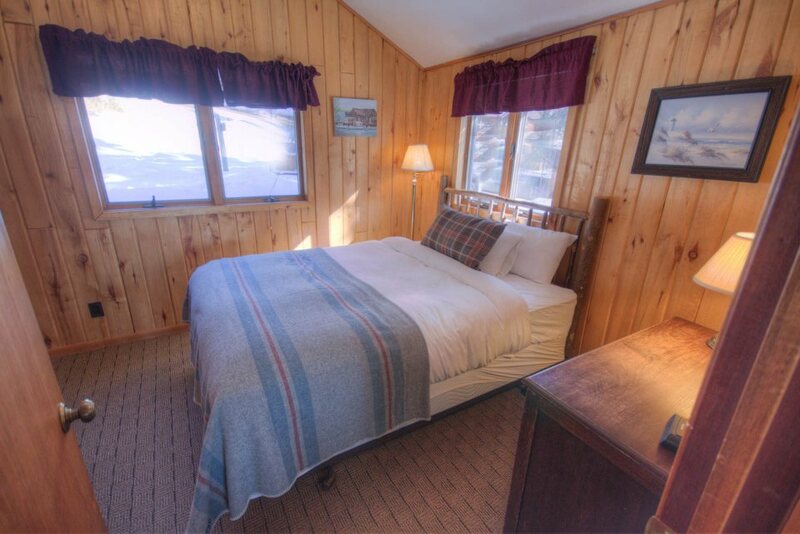 Two separate bedrooms, open living space with full kitchen and expansive deck are sure to be a comfortable setting after a long day of adventures.